I decided to go ahead and create my own domain name, so you can now find me at www.lizziebellablog.com! Thank you for all of your support so far! 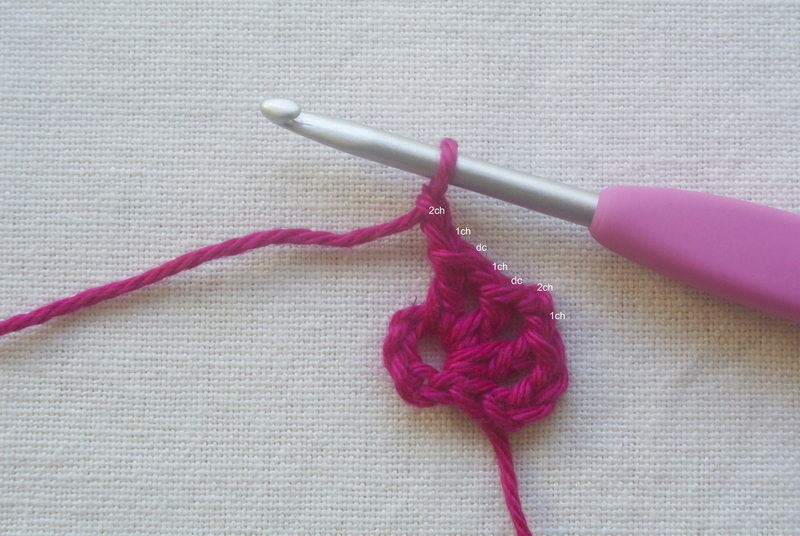 I’ve had a lot of fun and I’m excited to keep blogging at my new site! Please follow me there! This weekend was really relaxed. I had volleyball tournaments the past two weekends, so it was nice to have a break, especially with a big three day tournament coming up. We’ve had a lot of rainy weather the past few days, and we were all fighting different sicknesses, so we kept it pretty laid back. 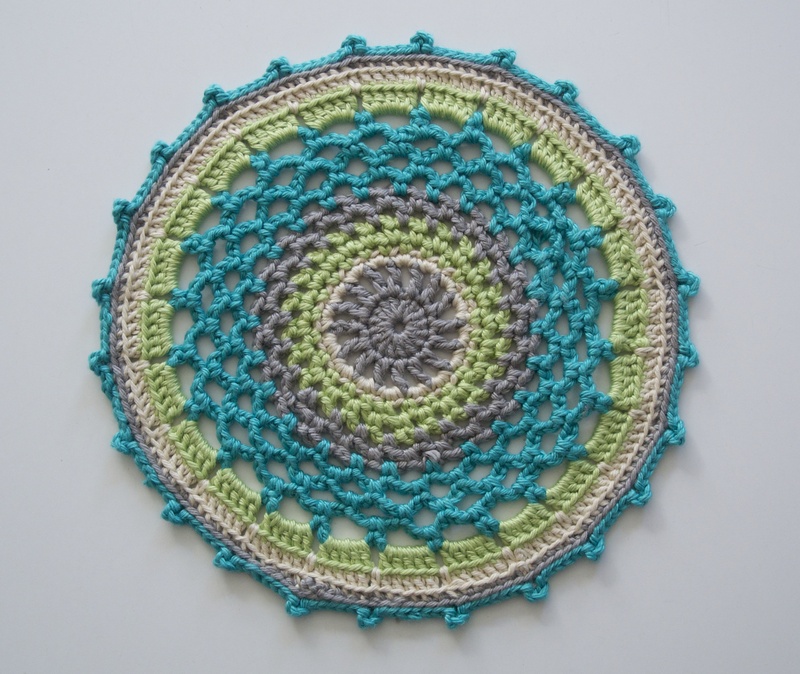 I spent most of my free time joining most of my circles on my blanket. I absolutely love the way it’s turning out! It’s growing, but there is definitely still a lot of work to do. My goal was to get all of them joined this weekend, but it took longer than I thought and I got a little burned-out, so I’ll have to finish this week. 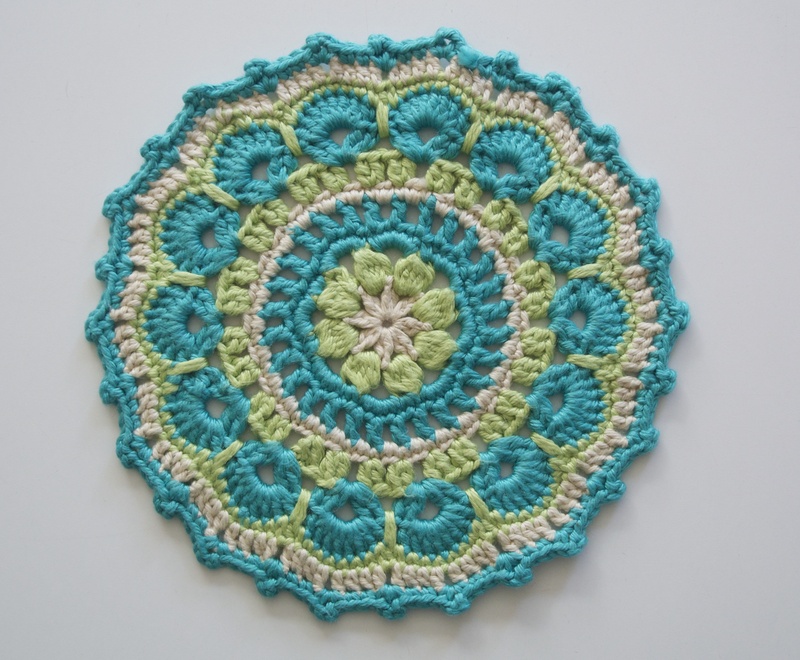 I took a break from circle joining and hopped on the mandala bandwagon. 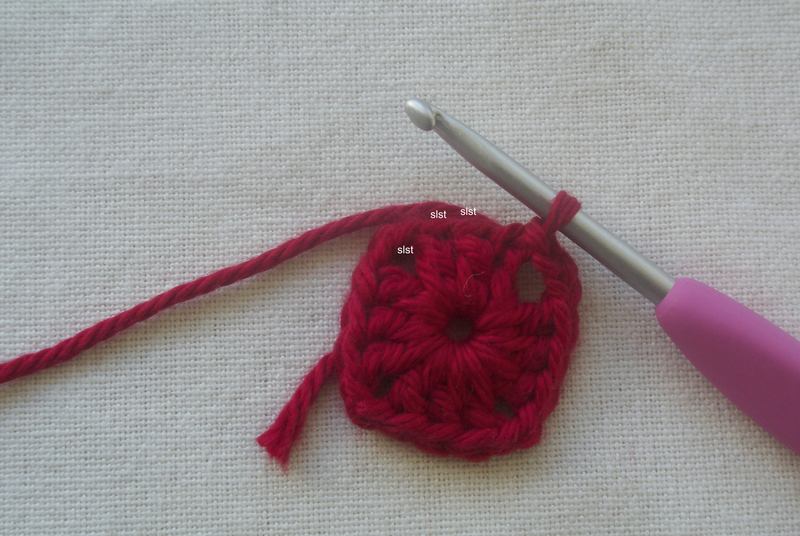 I’ve seen a lot of these recently on Pinterest and other blogs, so I thought it was about time I made my own. I now see why they’re so fun! I love all of the color possibilities that make each one unique. 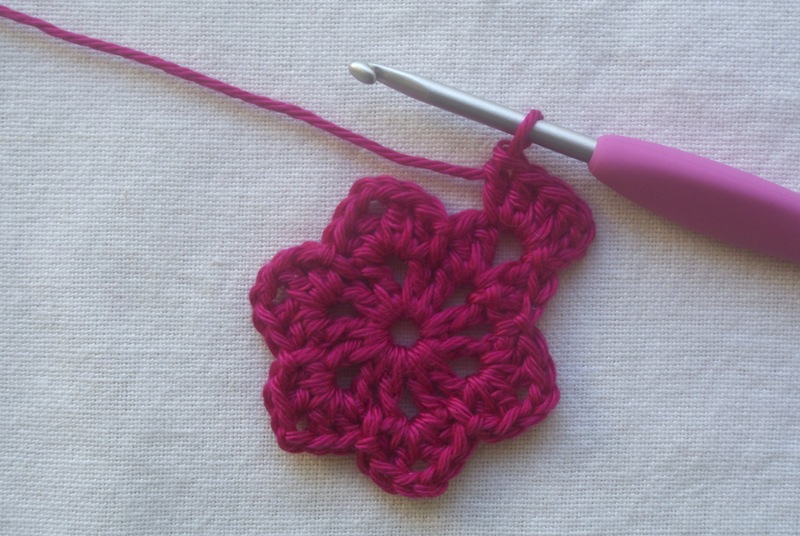 I followed patterns in issues 7 and 14 of Simply Crochet. They were really easy to follow and I think they turned out pretty great! 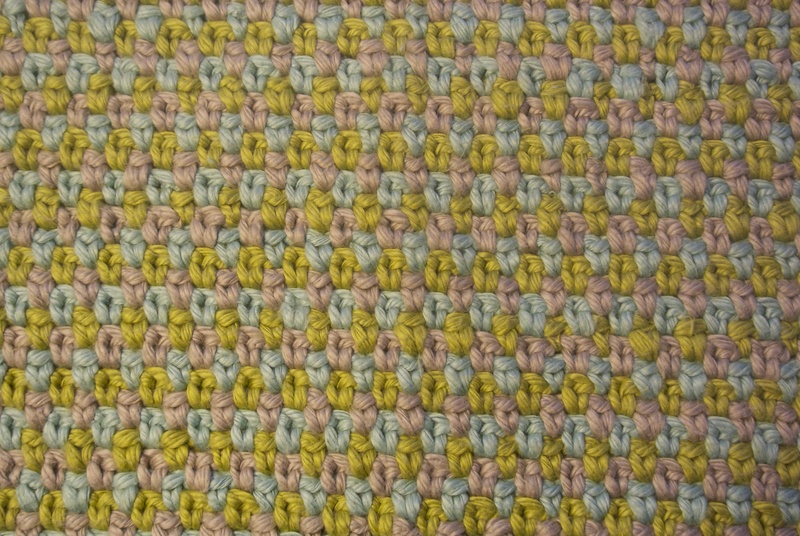 I used KnitPicks Shine Cotton in Robot, Reef and Green Apple and loved it! 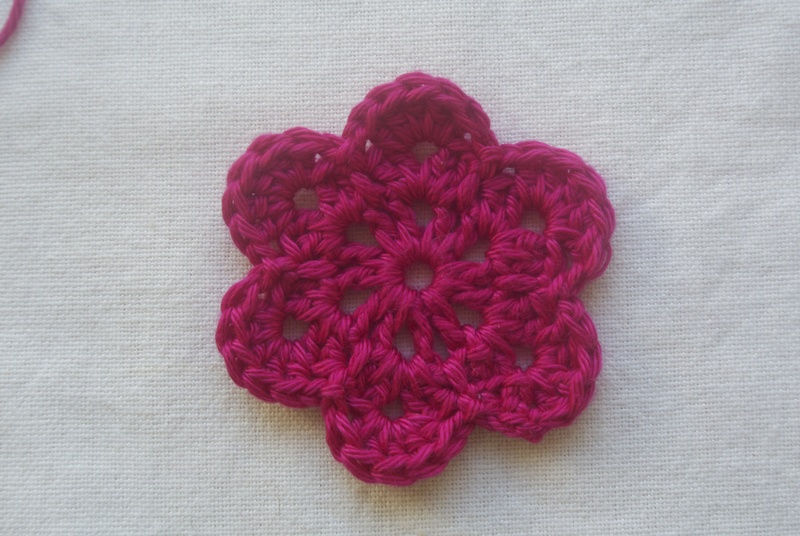 The cotton is super soft and the colors are bright and beautiful! If you can’t tell, I definitely have a comfort zone with colors. Blue is my favorite color and I have a really hard time straying from it. 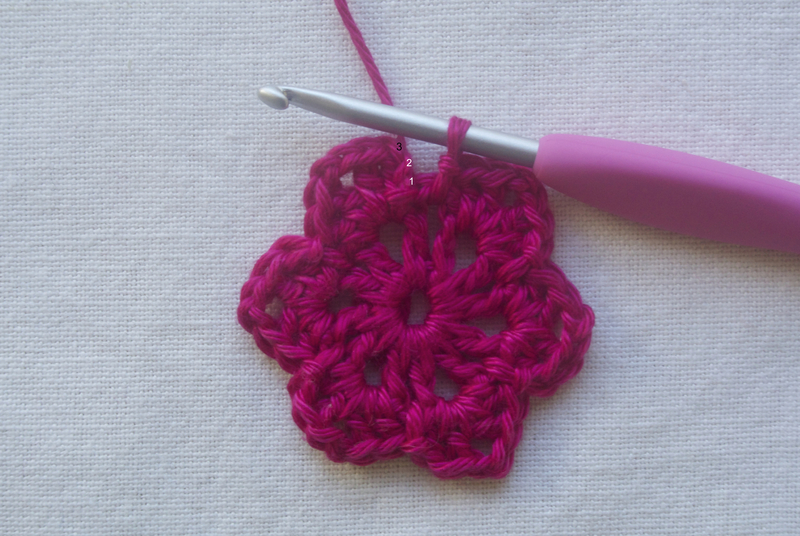 I want to be better about trying new colors, so my goal is to use colors other than blue and green in new projects. Let’s see how long that lasts. I’ll leave you with one of my favorite videos. This is Scott Avett singing Bob Dylan’s One More Night and it’s seriously great! 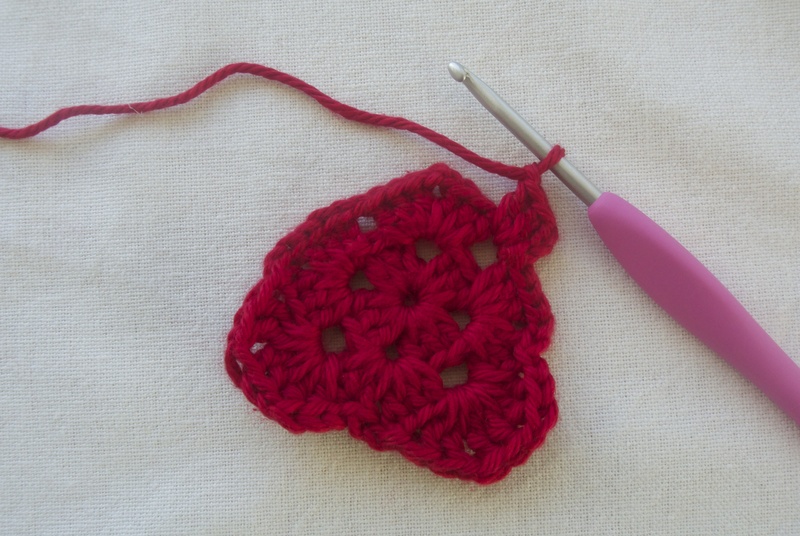 Here are a few ways to add crochet hearts to your Valentine’s Day gifts and decorations! 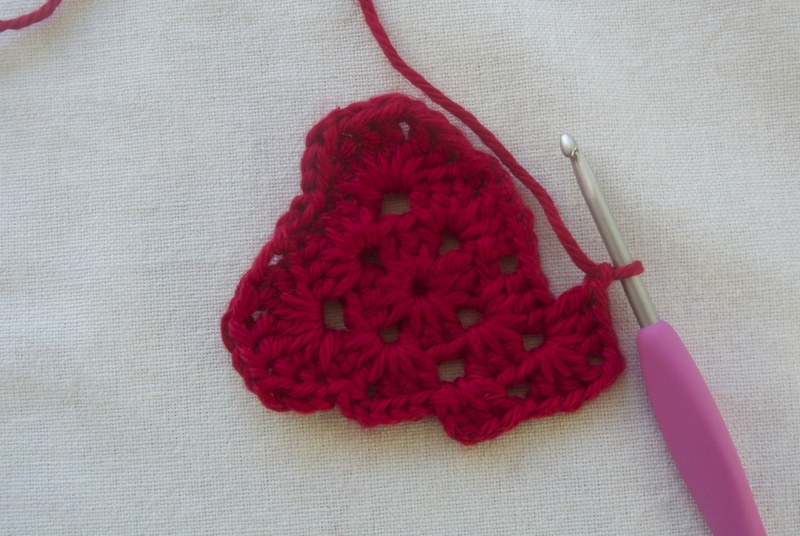 I think adding little handmade items make gifts so much more special, and these hearts are quick and easy to make! 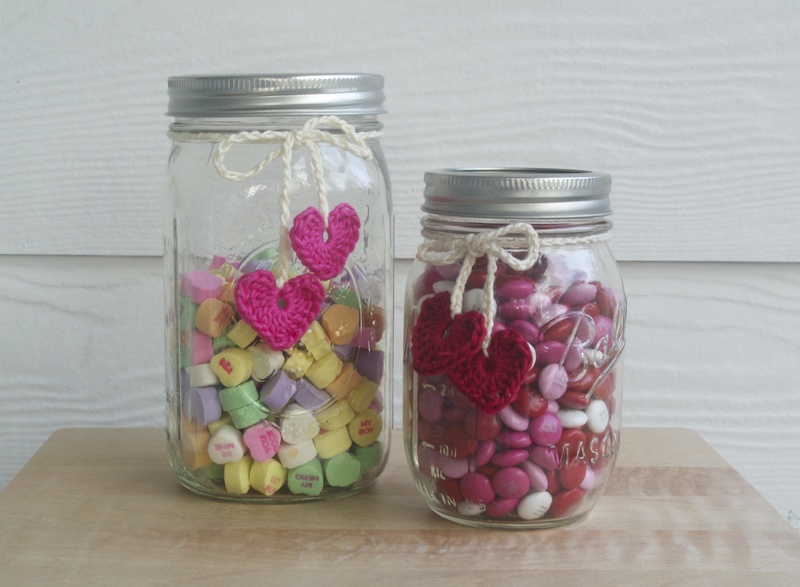 Mason jars are always cute, and theses little hearts are a quick way to dress them up! 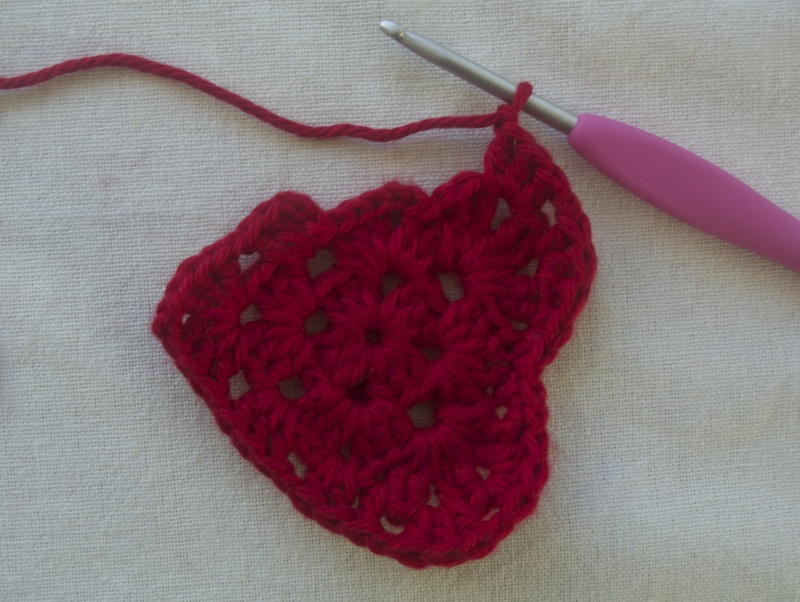 I followed this tutorial from Maybe Matilda for the little hearts. They are so little and so adorable! 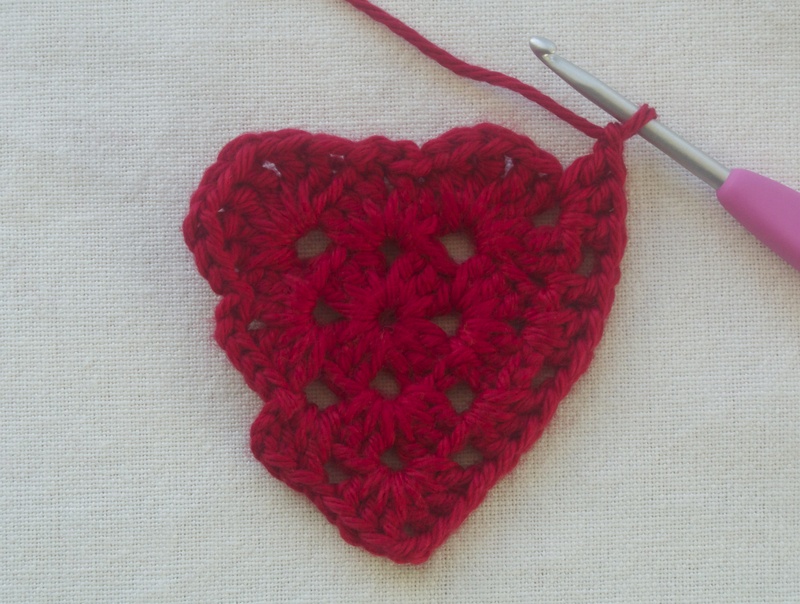 I connected them with a long chain by slip stitching in the center of each heart. Just fill a mason jar with your favorite candy, tie this around it, and you’re good to go! 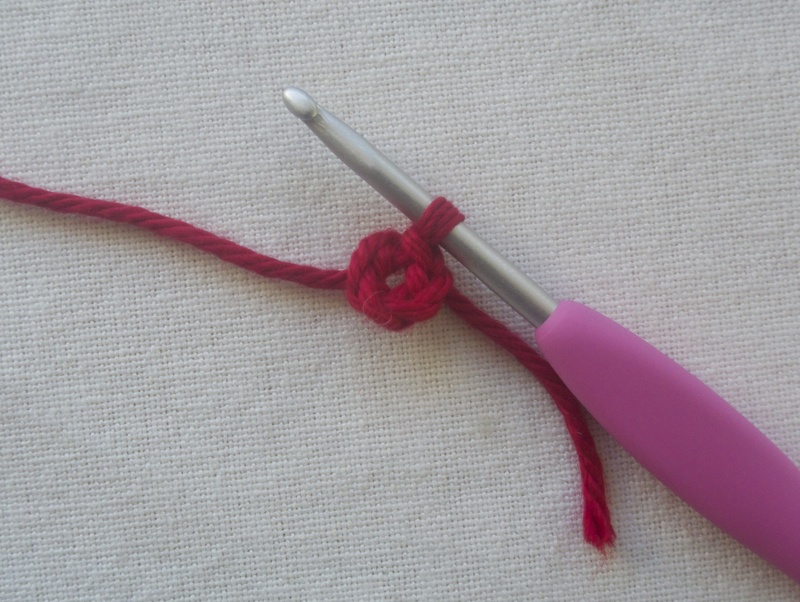 You can also use this to tie up a gift box! I love garlands! 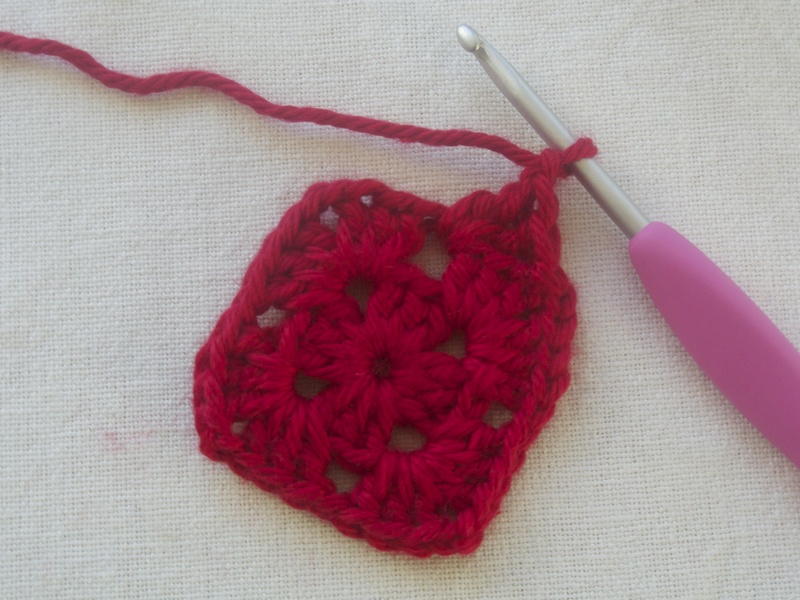 They’re so fast and can be made for any holiday! 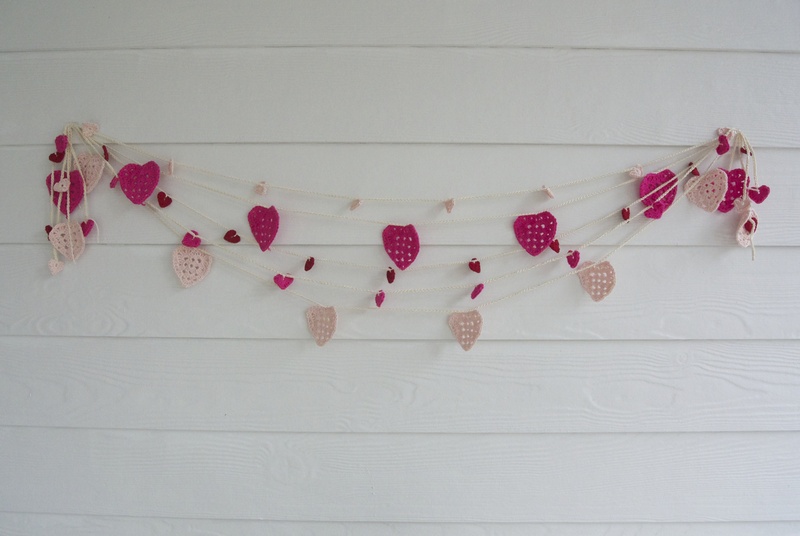 I used the same heart pattern from before with a 3.25mm hook and thin cotton to make tiny heart garlands. 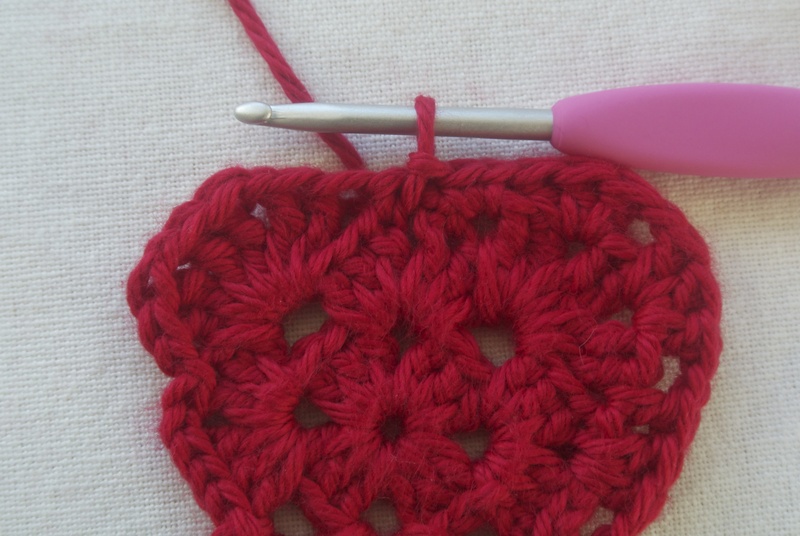 I connected them by chaining 31 and slip stitching in to the center of the heart. 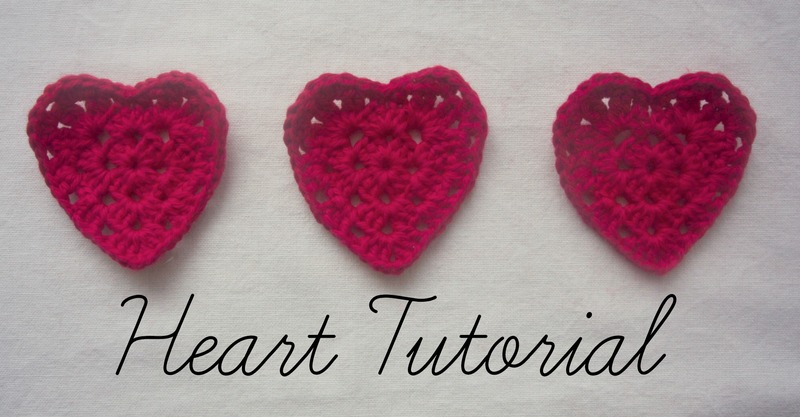 I also made bigger hearts with this tutorial from yesterday! Your hearts may curl a little around the edges. 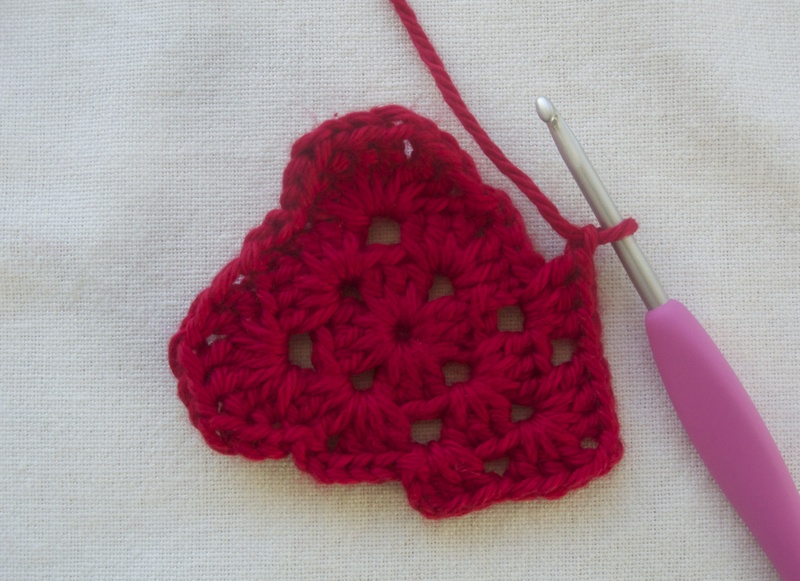 To make the hearts lay flat, I sprayed them with starch and ironed them for a second. This doesn’t make them too stiff, but does help them hang straight. 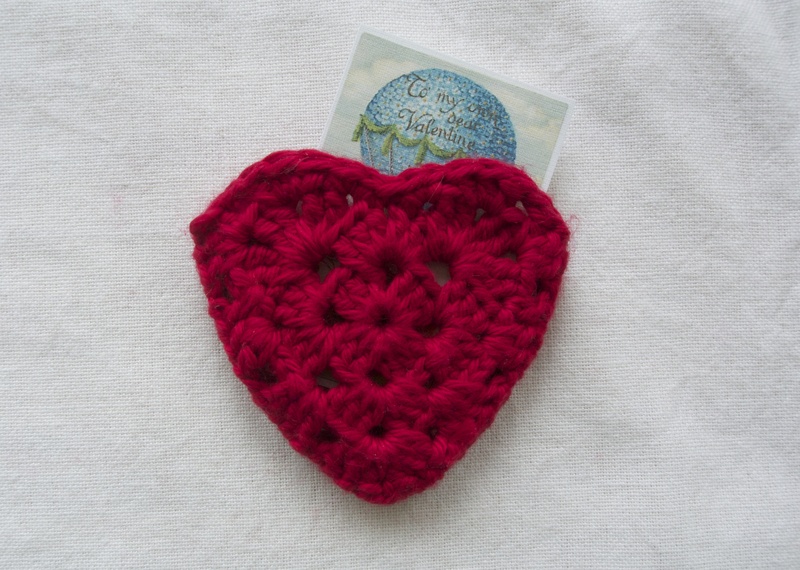 If you are giving a card, why not slip it into a little heart pocket? 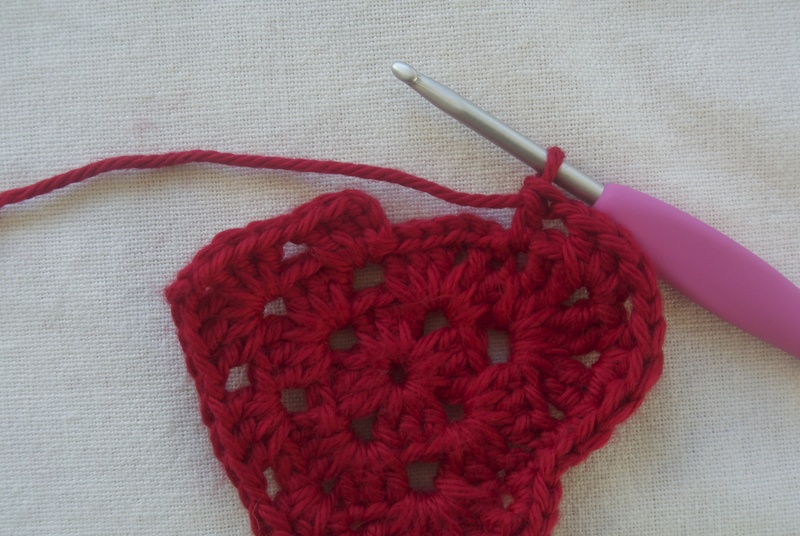 I used a plastic needle to stitch two hearts together. 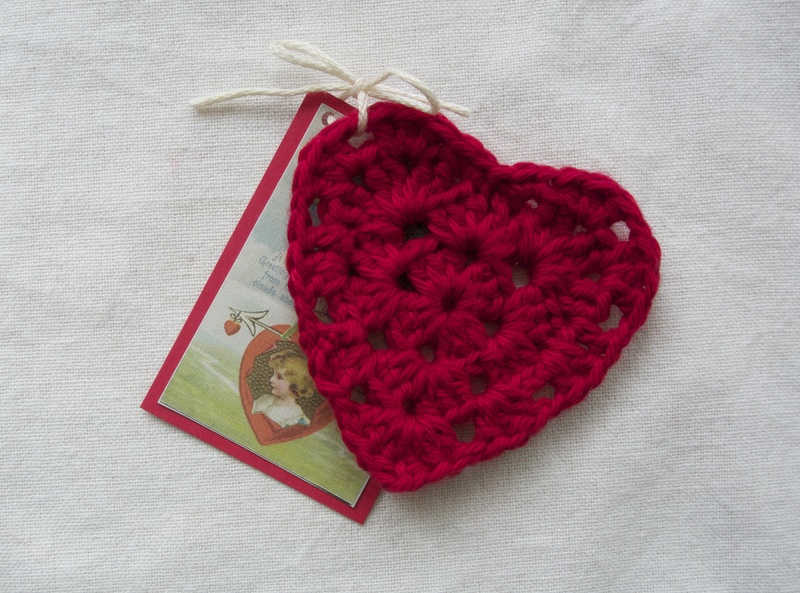 You can use it alone for a note or gift card, or tie it to a bigger gift! 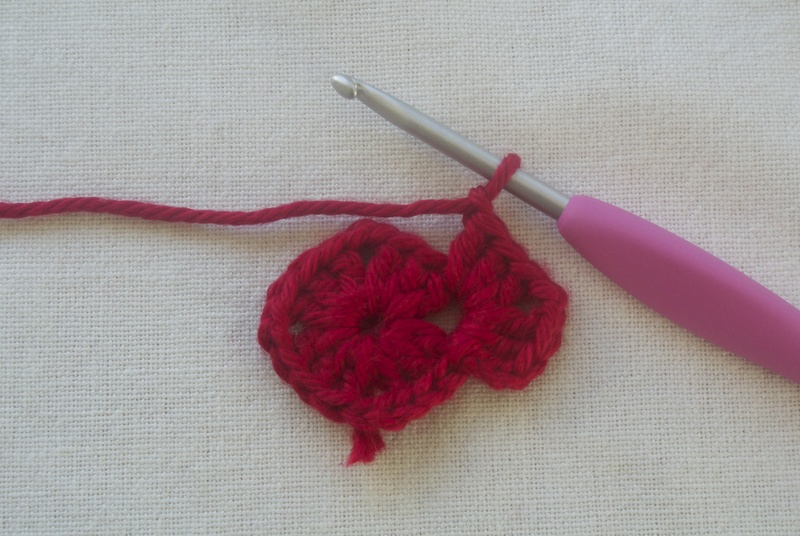 The easiest way to use a crochet heart is to just tie it to your card! 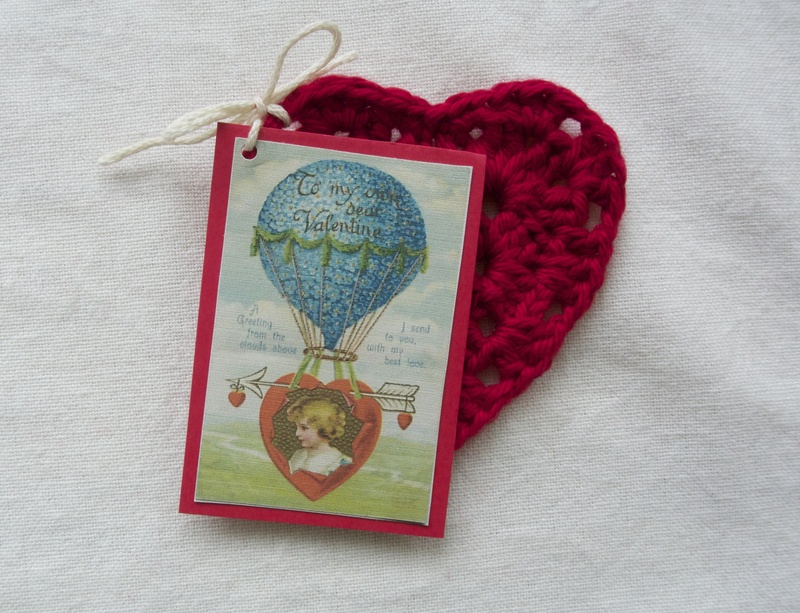 I found some awesome vintage valentines here that I just printed out! 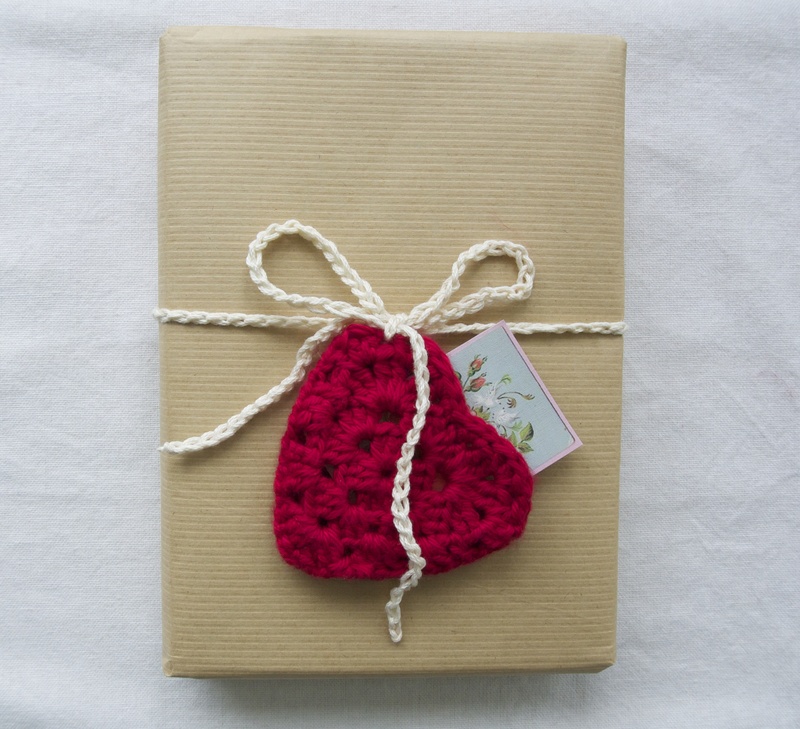 Punch a hole in the corner of your card and tie it to your heart. It’s an easy way to add something unique and personal to your Valentine’s Day Cards! 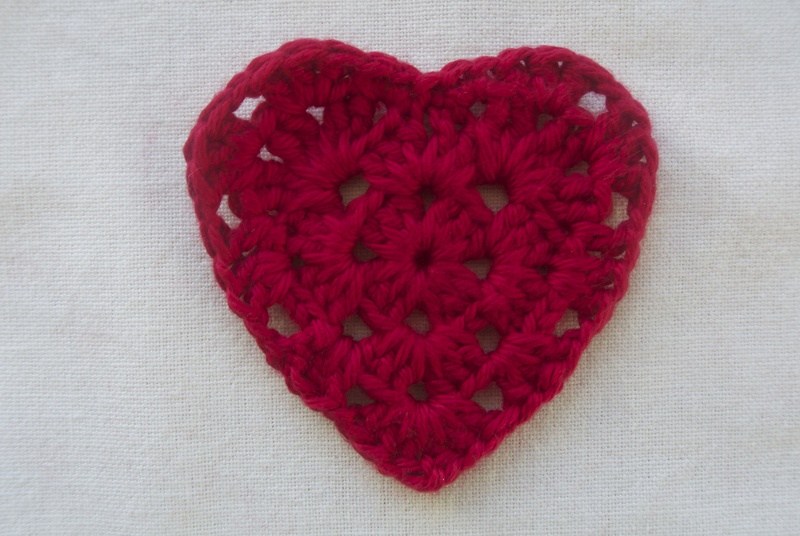 I hope this gave you some ideas for your Valentine’s Day! I had a lot of fun coming up with the ideas and putting them together! Please let me know what you think! 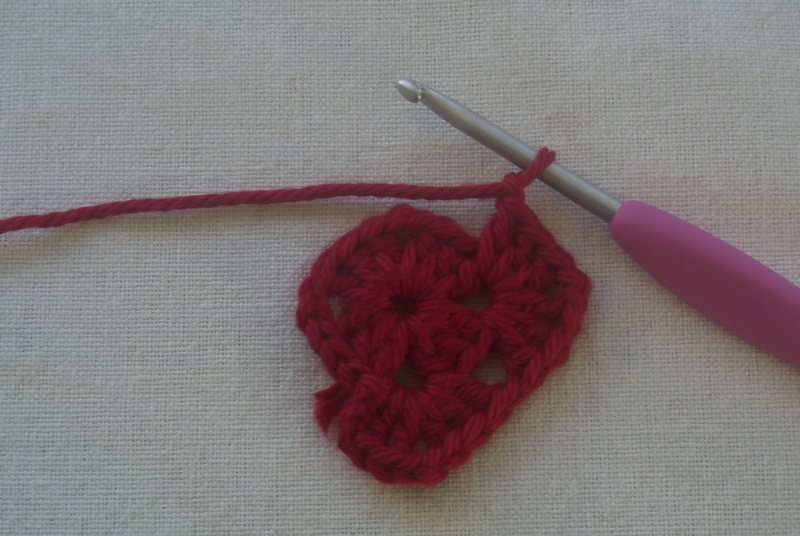 With Valentine’s Day just a couple weeks away, I thought it would be fun to post a quick heart tutorial! This heart is pretty easy and fast; the first two rounds of this heart are just a simple granny square! 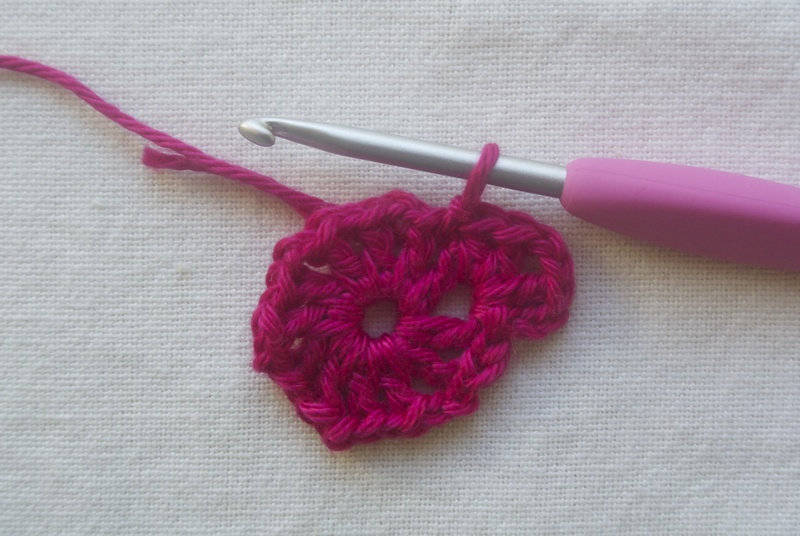 To start, chain 5 and join to form a ring. 3. Repeat between ** 2 more times. 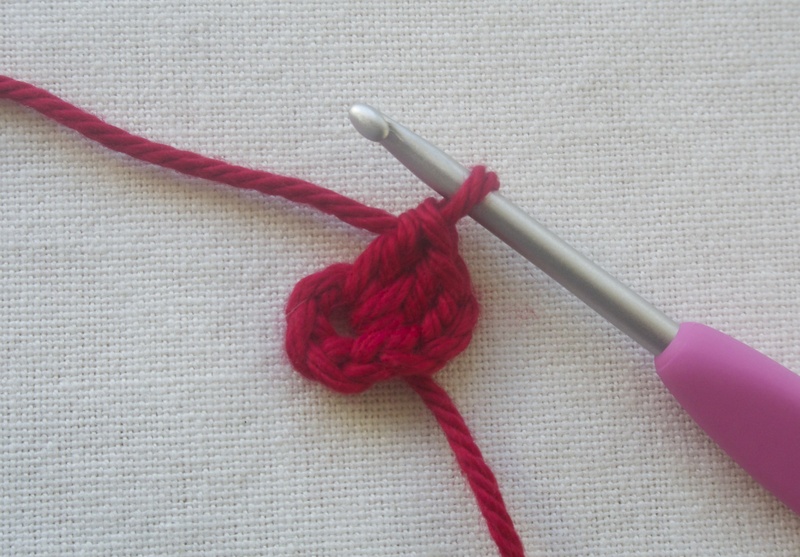 5. slip stitch across to ch2 space. 10. 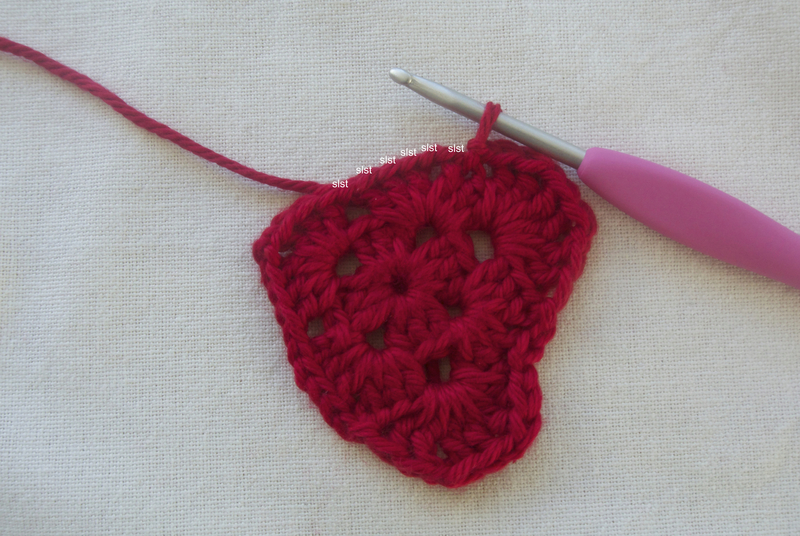 To end round 2, slip stitch in the third ch of the beginning ch3. 11. 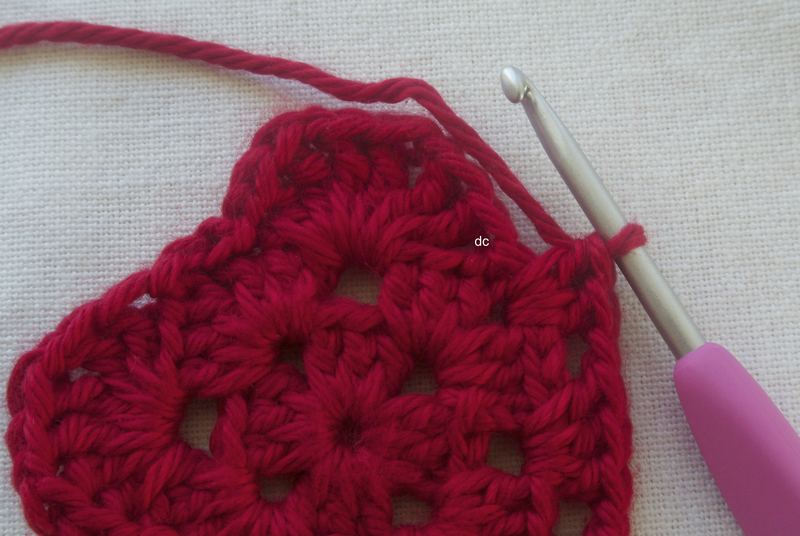 To get to the right place for the next round, slip stitch in the next two dc, in each of the two corner chain stitches and in the first dc of the next dc group. 12. 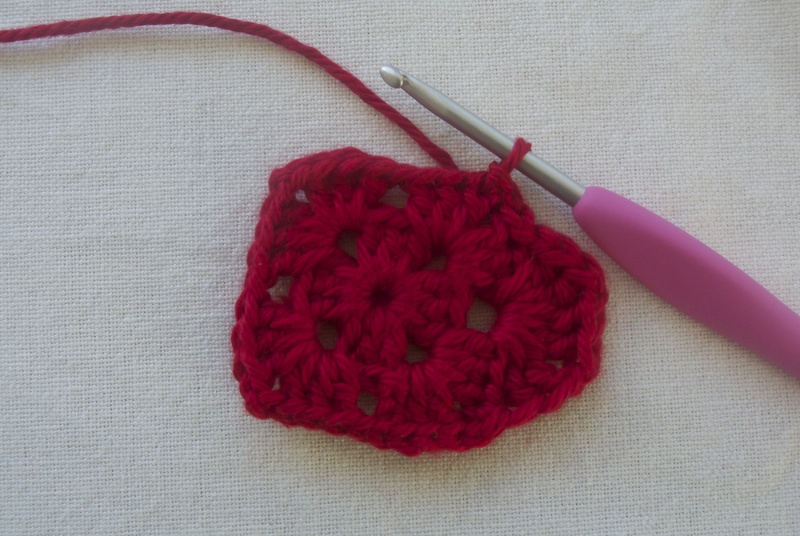 Now we’re going to start making the little bumps of the heart! 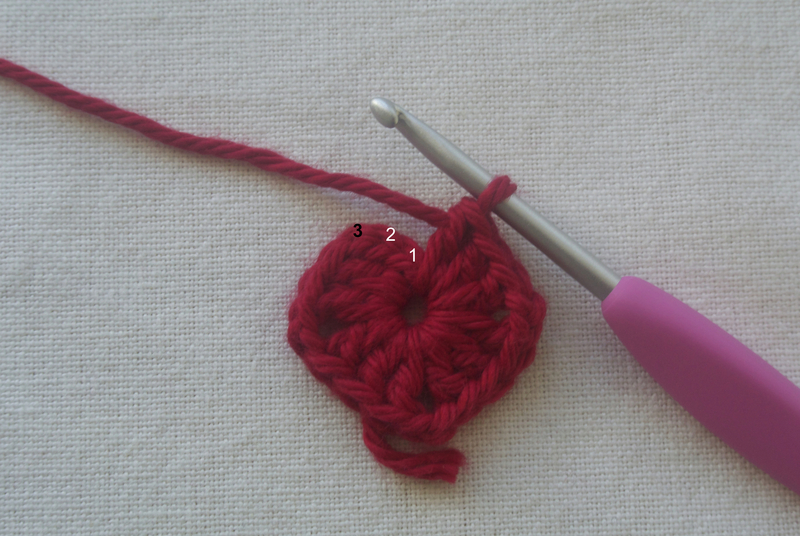 Start with two tr in the ch1 space of the previous round and ch1. 13. To finish this hump, work 2tr, ch1, 2tr, ch1 in the same ch1 space. 14. 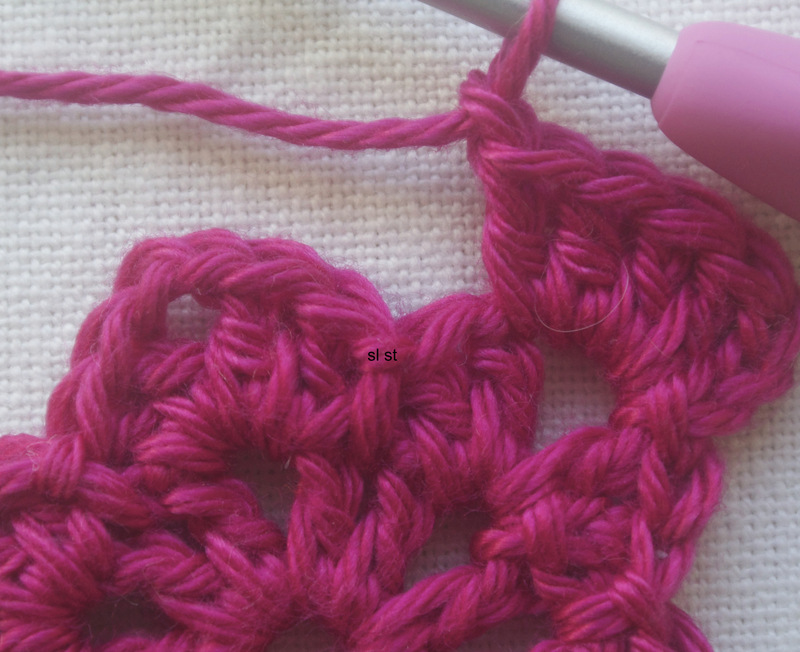 Slip stitch in the last dc on the same side to finish the bump, then slip stitch in each of the corner chains and the first dc of the next group. 15. Repeat steps 12 and 13 to make your second bump. 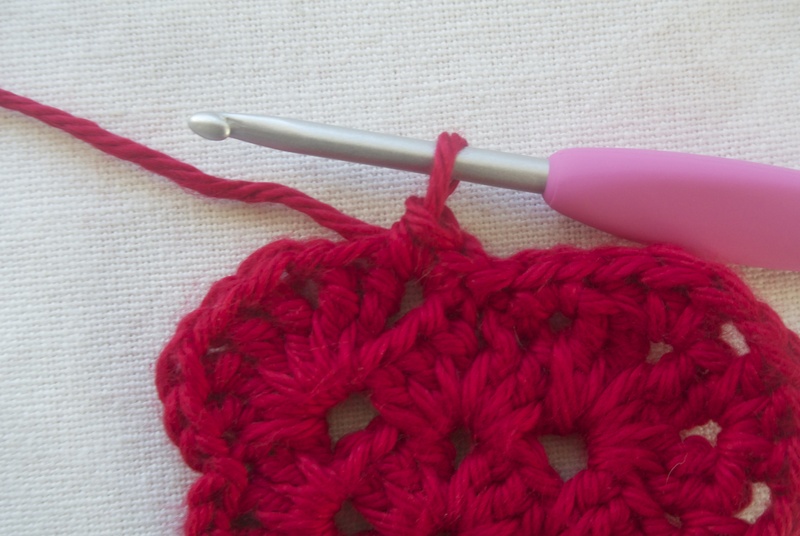 Slip stitch in the last dc on the same side. 16. 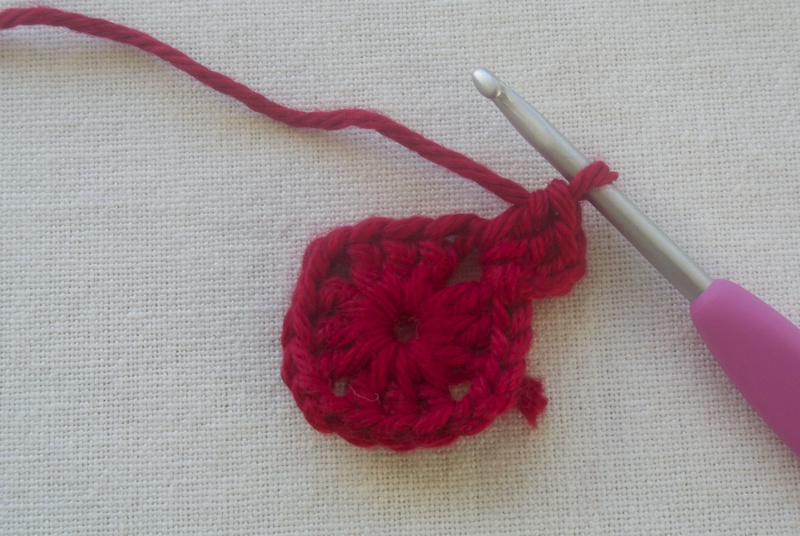 Like before, we need to slip stitch to get to the next ch1 space. 23. 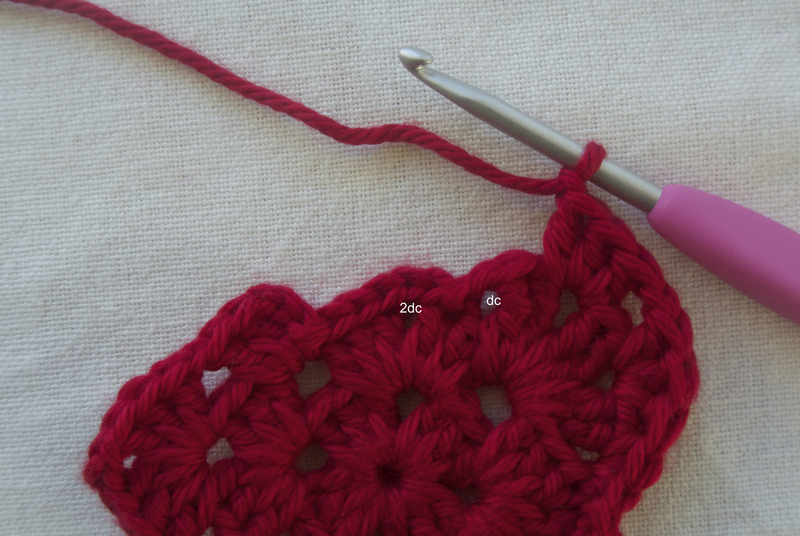 Slip stitch in the corner ch2 from the previous round. 24. Work 2sc in the space before the next tr. 25. In next ch1 space, 3dc, ch1. Repeat in next ch1 space. 26. In the space after the last tr, work 1dc. 28. 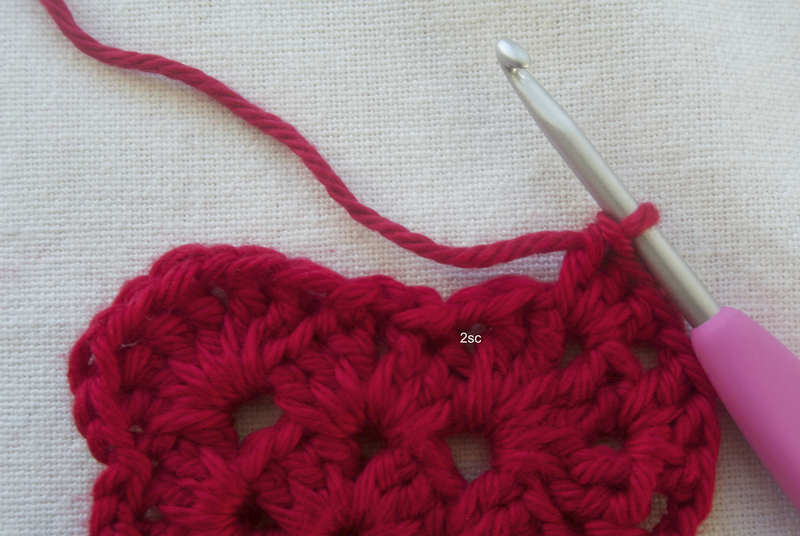 To finish, slip stitch in the third chain of the beginning ch3. And there you have it! 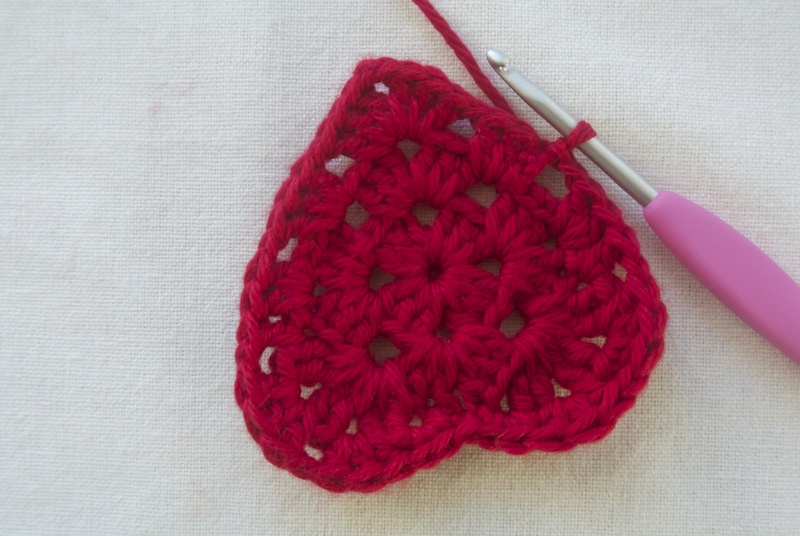 A granny square heart! 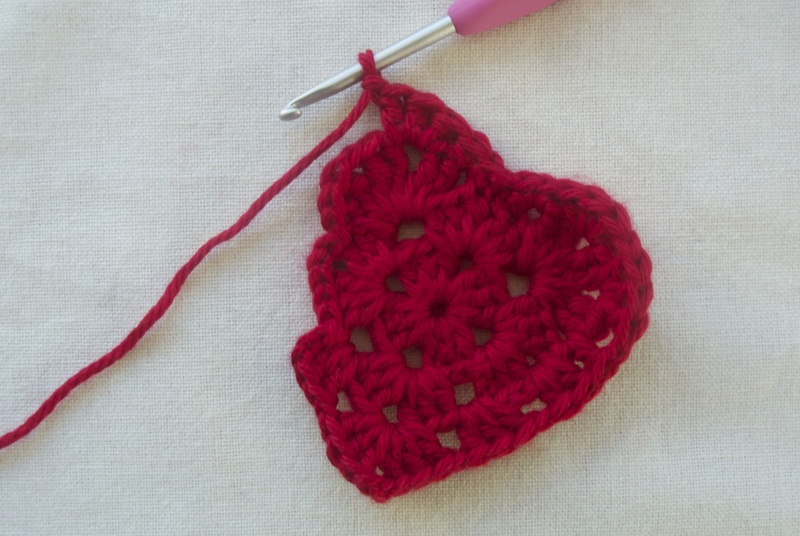 There are so many things you can do with this heart! 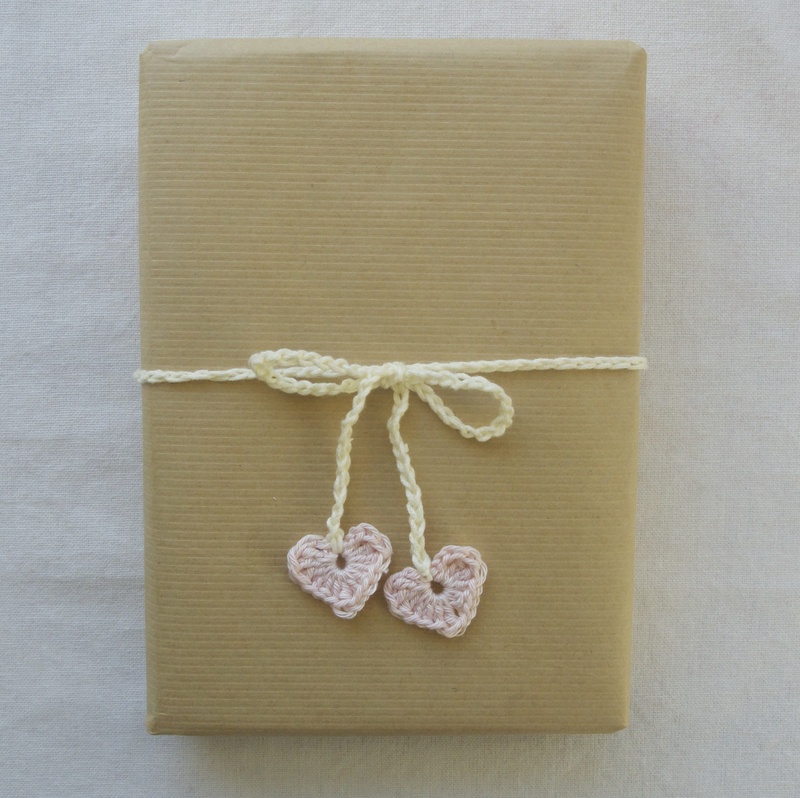 Tomorrow I’ll share with you a few ideas I have for Valentine’s Day decorations and gift wrap! 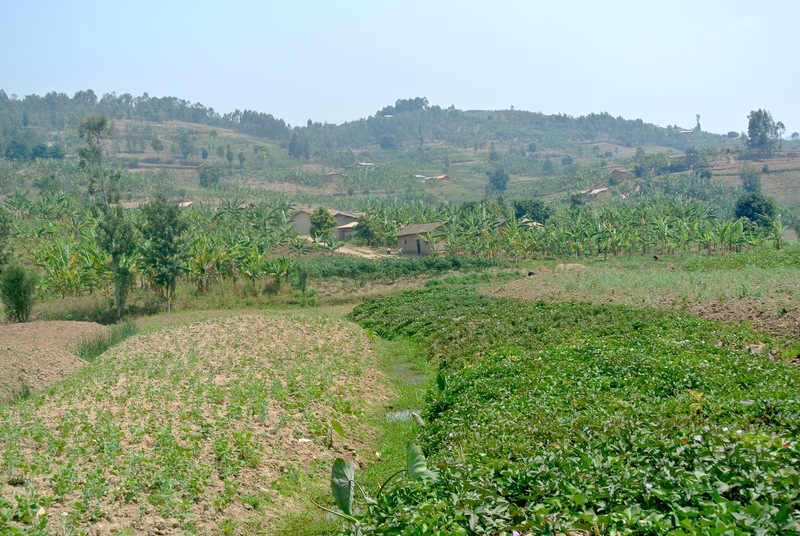 The second half of the traveling week we went to Rwanda. 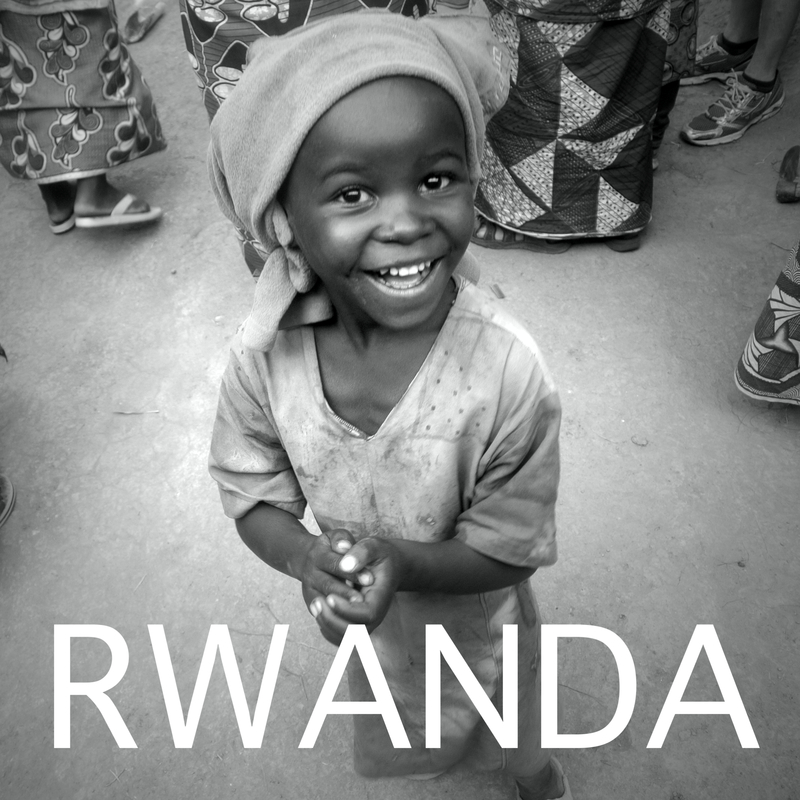 Rwanda was kind of a rough trip for me. 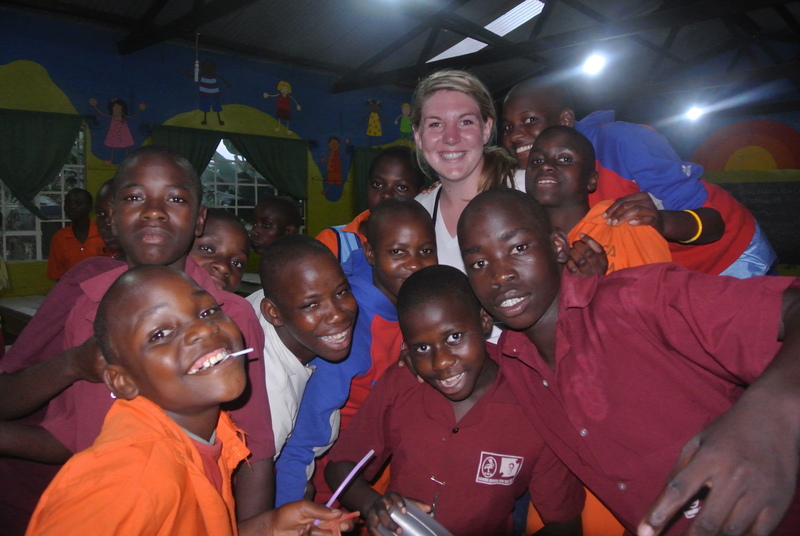 It was one of the hardest parts of my time in Uganda, but also one of my favorites. I learned a lot while I was there and I think it was one of the most valuable things we did. We left for Rwanda early in the morning. It was supposed to be a 12 hour bus ride, but ended up taking close to 19 hours! I get incredibly motion sick, so I had a pretty hard time on the bus. The roads were in really bad condition and I think there was a good portion of the trip where we didn’t get above 20-30mph. It was a nightmare! Our drivers were awesome though! One guy drove most of the trip, and it was a difficult drive! 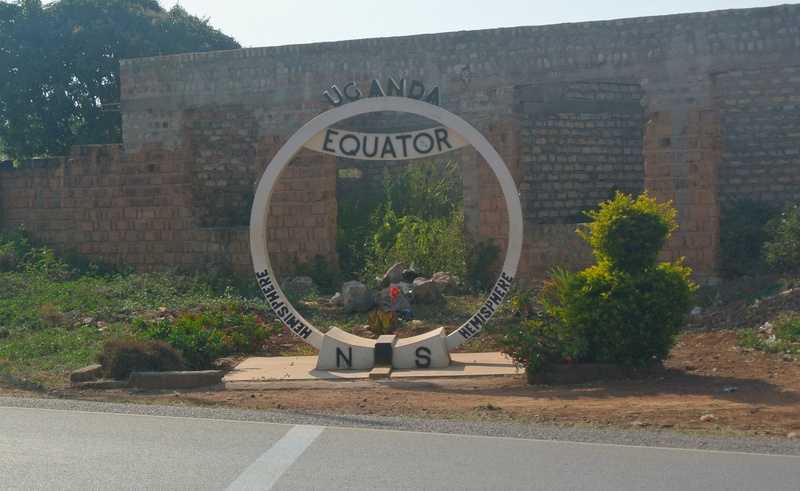 After a couple of hours, we made it to the Equator! We got to get out and walk around for a little while. We watched an experiment about how water flushes. 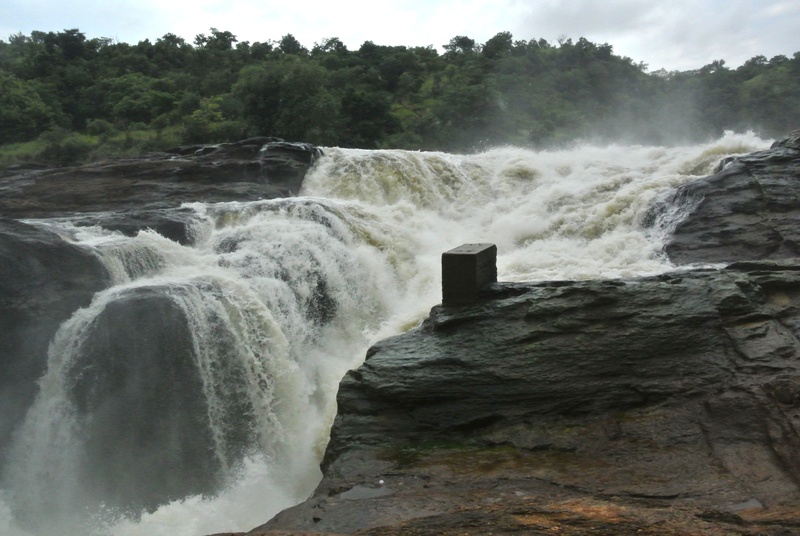 On one side of the equator, water spins to the left and on the other side it spins to the right. 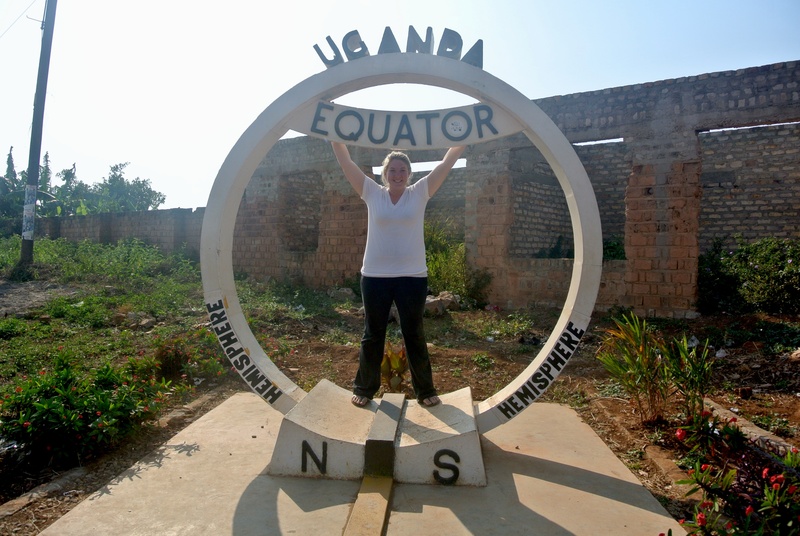 Right on the equator it doesn’t spin. We stopped for lunch at a hotel. We had a big group of about 35, so whenever we all needed to eat at the same time, it took forever. We were at that hotel for about 2 hours. We got to the border around 8pm and it took us a couple hours to get through. 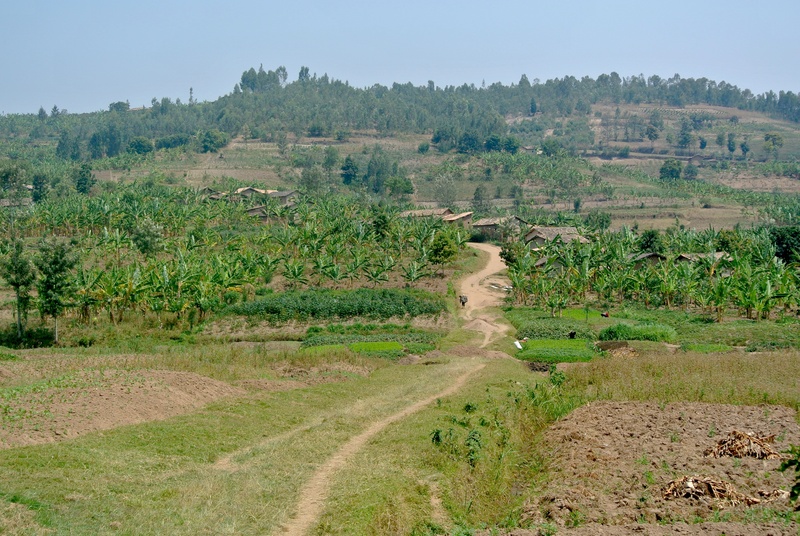 After we exited Uganda we had to walk in the dark to get to the Rwanda side. It took about an hour to get the whole group through and then we had to wait for our buses to get come. That took almost another hour. Then the border men made us unload all of our luggage from the buses and went through each suitcase one by one. It took an eternity. We had to show our passports again to get on the bus. My professor said it has never been that difficult to get through and never usually takes that long. So, we were really late getting to our hotel room. We got up thursday morning and went to do some genocide memorial stuff. It was all really sad and a little overwhelming. We went to the memorial that had a museum attached. The memorial had mass graves holding over 250,000 bodies. It’s crazy to me that they are still finding bodies of victims and have a couple mass graves that are empty that they expect to eventually fill. It was really sad and I didn’t really feel like taking pictures of a lot of the things I saw. One room was filled with skeletons of victims and another was filled with thousands of photos of people who were killed that were donated by family members. 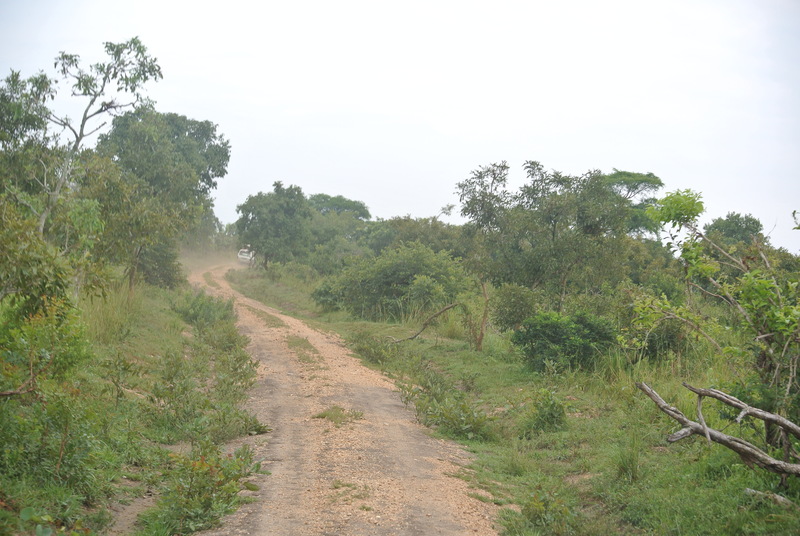 That afternoon we visited a genocide site. It was a church where I think between 5 and 6,000 people were killed. Inside the church they had thousands of skulls and bones of the victims that they had collected. There were also coffins that the guide said held about 100 skeletons each. It was a very said and overwhelming day. One of our guides was 2 when the genocides took place. Both of her parents were killed and she was raised by her 5 year old brother who had to keep them in hiding for a while. Another guide that was with us lost his entire family. He was the only survivor and was 16. He had to hide in the woods for 2 months just living off of whatever he could find. What I think is amazing is that the people I’ve met have been able to move on. They are generally happy people. I could not imagine living through that and being able to move and on and have a happy life. I am so amazed by people I met there. They have suffered more than I could ever imagine and have been able to have happy and successful lives. They have so much faith and are just really inspiring. 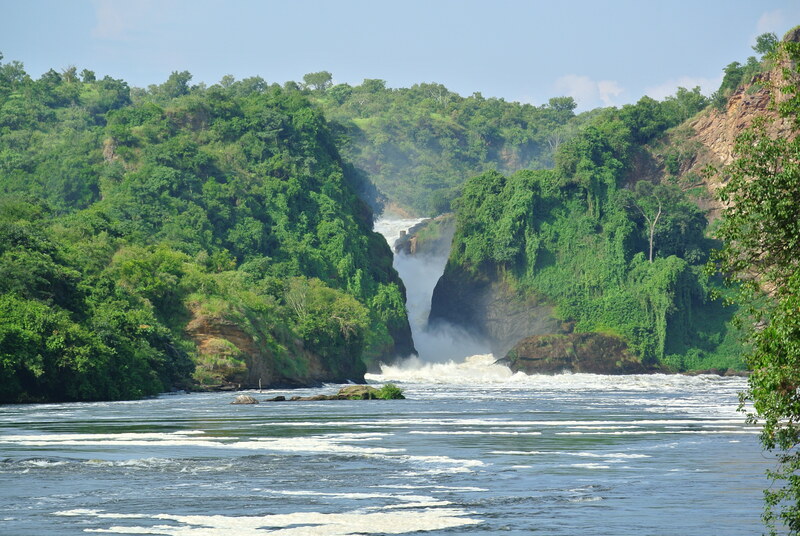 Rwanda is beautiful too. It’s a lot hillier and greener than what I saw in Kampala. The difference between Kampala and Kigali is pretty amazing. The streets are actually well paved and there are lane lines and street lights and traffic signals. I liked having smoother rides for a couple of days! 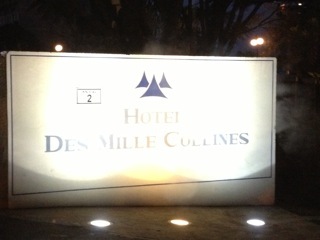 Thursday night we ate at the hotel Mille Collines. This is where Hotel Rwanda took place. It was nice to end the night where there was a positive ending. The hotel manager turned the hotel into a refugee camp and saved at least 1,000 lives. We watched the movie a few nights ago and it was cool to eat dinner where that took place. They had awesome food and a really great live band and I had a really good time. Thursday we got up early and went to a place called Azizi Life. You can learn more about it here! They arranged for us to spend a day in a village with a family. We were split in to small groups and sent to different villages with a translator. It was a really great experience! They gave us skirts to wear and wrapped our head in scarves. I loved getting to talk with and understand these people a little better. We were with two women who were so kind and so happy! We started out the day cultivating. It was hard work and I didn’t really enjoy it. I can’t believe these women do it everyday. They are so strong. We then cut grass to feed the cow. While we were cutting grass, I met a little girl. I think she was about 4 or 5 years old and was absolutely adorable! She really liked me and was by my side for the rest of the day. I just loved her! It was really awesome to see that even though we didn’t speak the same language and have completely different lives, we were still able to communicate and become friends! 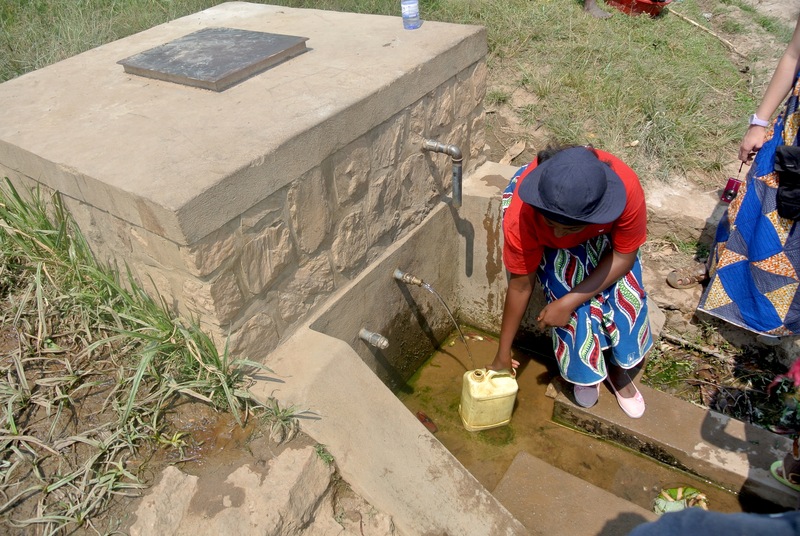 We also went and fetched water. The village was on the side of the hill and the water was in the valley, so we had to walk down the hill to get the water, then walk back up. It was hard. The water was heavy and some of the pathways we had to take were steep and narrow, and the women we were with do it multiple times a day. After this we had lunch. 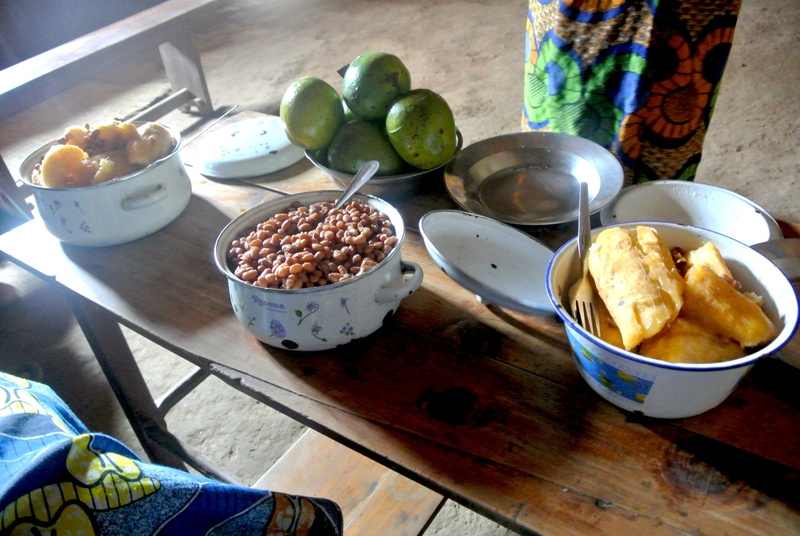 We ate avocados, cassava and beans. I really dislike avocados, but I didn’t feel like I could turn them down. I’m very proud with myself that I ate the whole thing, but it didn’t sit well with me, so I felt a little off the rest of the day. 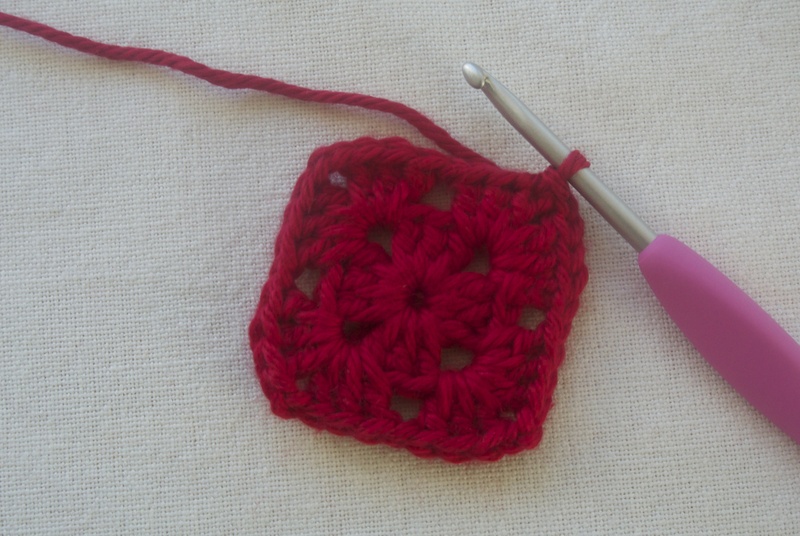 I also met a little girl who knits. 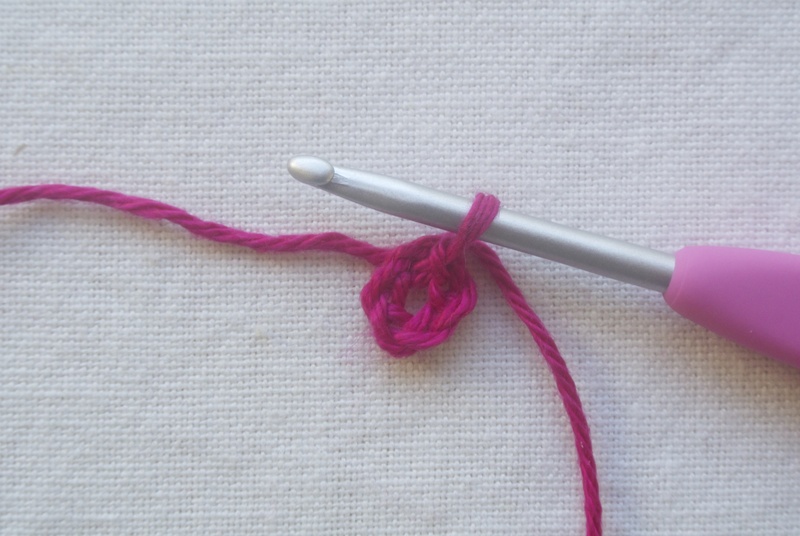 She had two tiny little sticks as her knitting needles and was a hundred times better than me. I tried to get her to show me her work, but she was so focused on knitting she didn’t have time for my pictures. 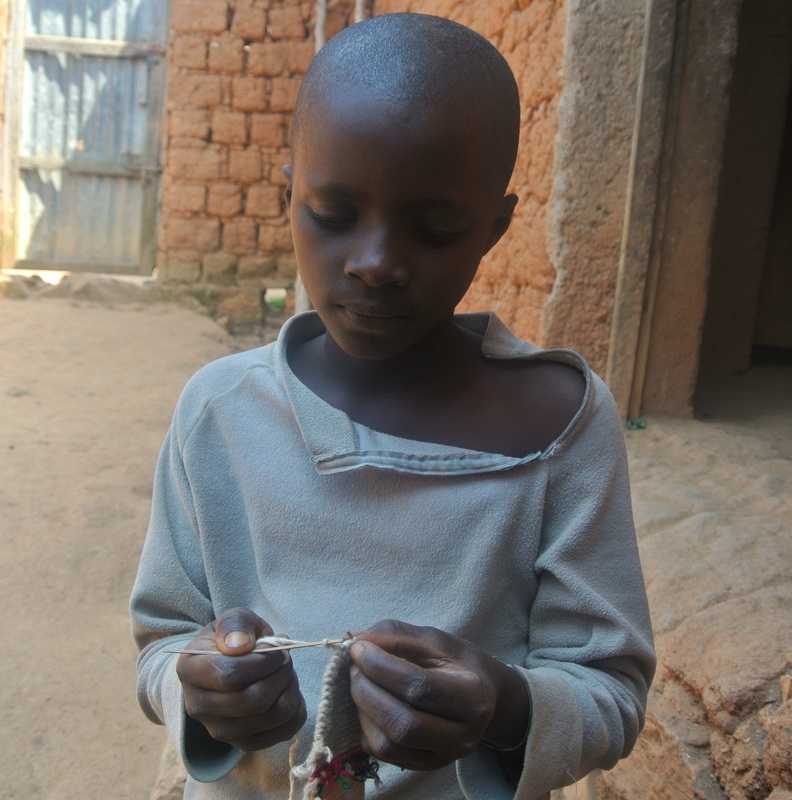 After lunch, some of the other groups and their hosts came to our village and we were taught to weave. 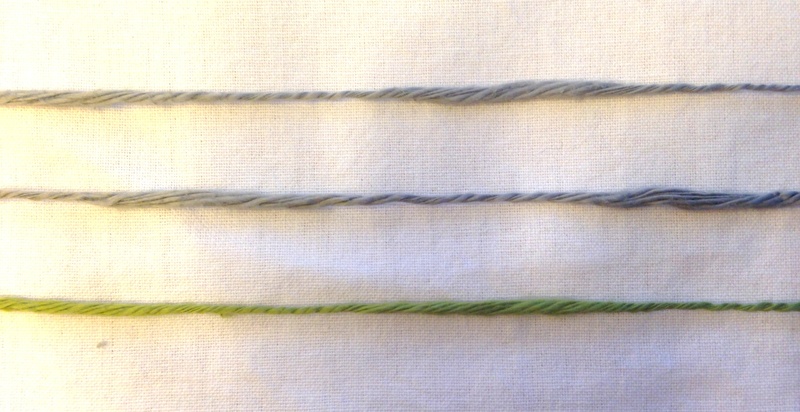 It was actually just braiding, but the materials were really cool. They use sisal plants to get the string and it was really cool to watch them get it and dye it. The colors were so bright! 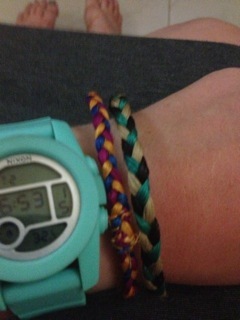 I got to make two bracelets. 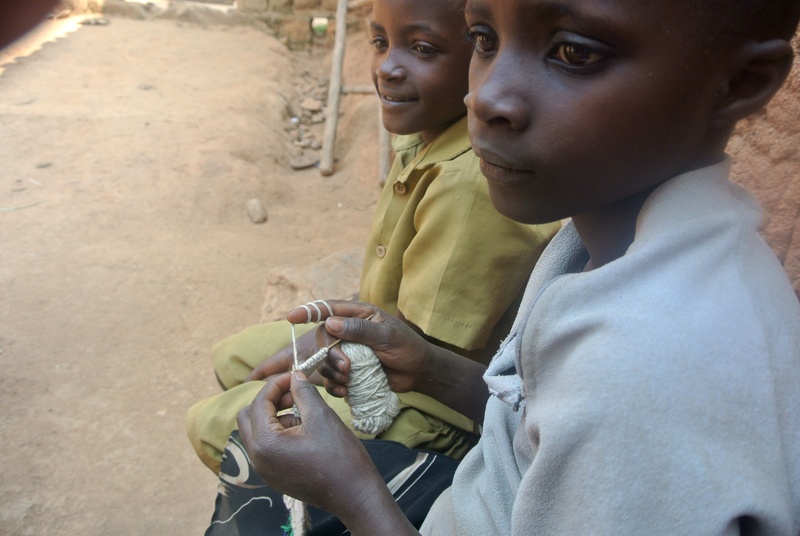 While we were waiting to start weaving, some of the kids and women started jumping rope, and were having a great time! This lady is 50 years old and was having a blast! I love the joy they have in their life. 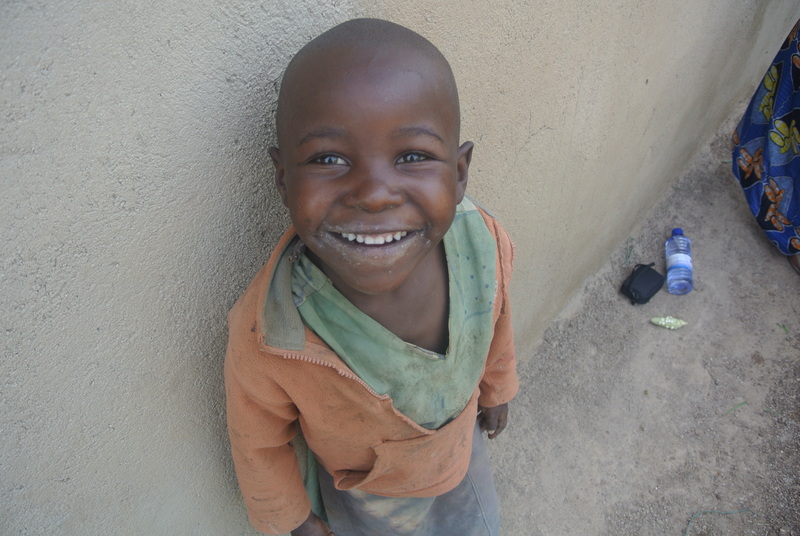 They talk about how incredibly blessed they are but they have so little by our standards. I just feel like I need to learn to be as grateful for what I have as they are for what they have. After weaving, all of the women started singing and dancing. It was really fun to watch and the little kids were so cute when they joined in. 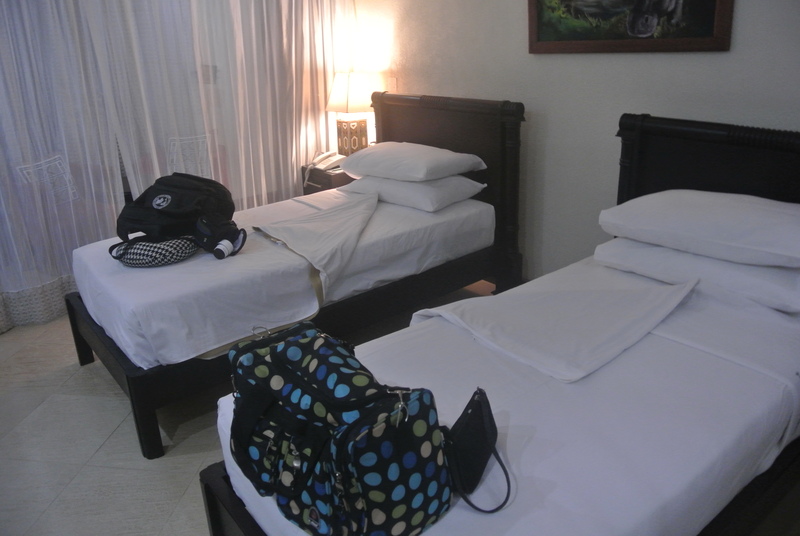 We left and went back to the hotel. It was our first night of down time and it was good to not have anything to do. We were able to relax and hang out for the evening. I got sick that night, so I was able to fly back to Kampala the next morning. It was just a 45 minute flight, so a lot better than a long, bumpy bus ride. 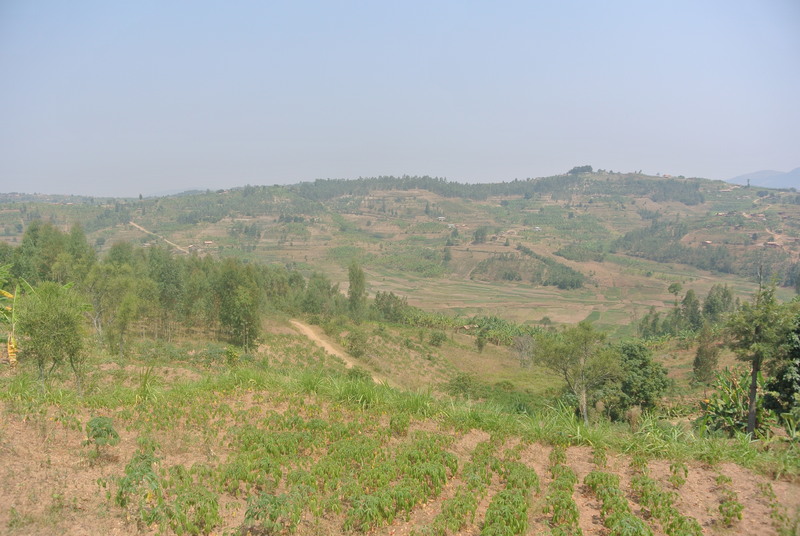 I had a great experience in Rwanda. It was harder for me than I expected, but I learned so much and had so many great experiences! I need to find a way to go back! It has been cold here in Florida this week! So cold that I haven’t felt ridiculous wearing my coat and scarves. After living in Utah for four years, I feel kind of silly coming home and getting all bundled up when it’s not really that cold. But this week is definitely cold enough, and I’m kind of loving it! I didn’t think I would miss the cold and snow that much, but I actually do. I really love winter clothes and I have more scarves than I care to admit, so I really love days that I get to wear them. We’re even supposed to have icy rain this afternoon! 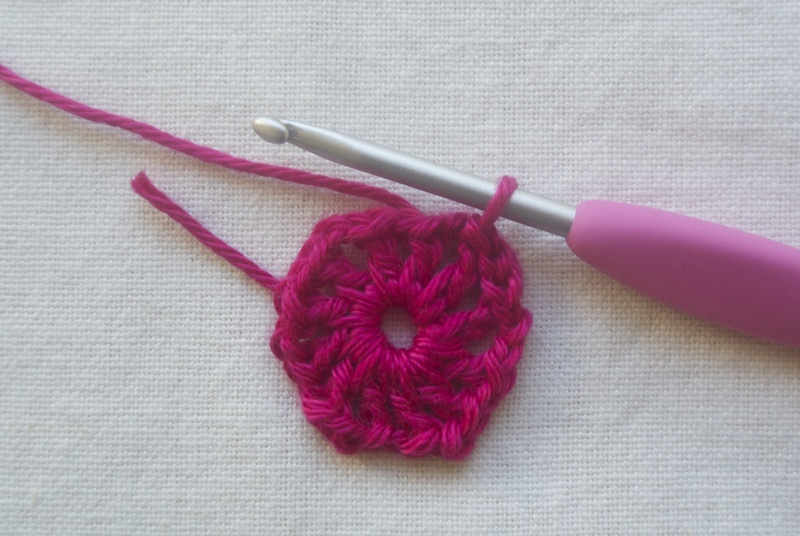 I recently ordered this yarn from KnitPicks. 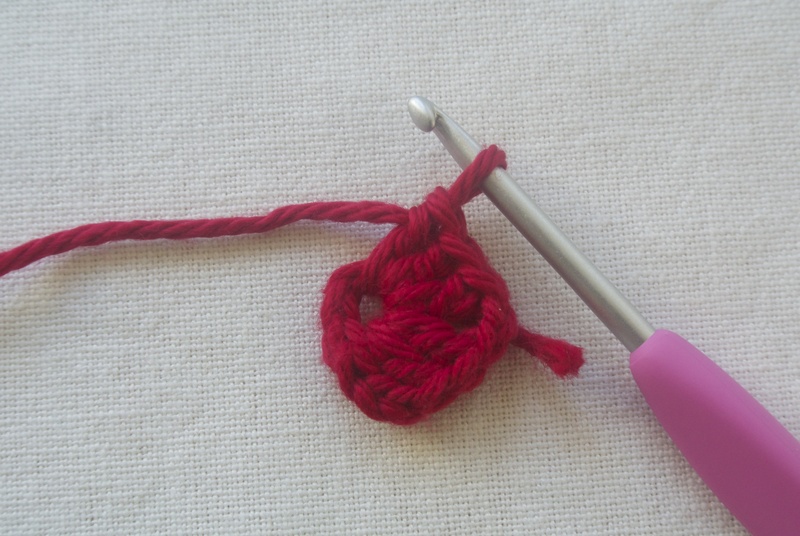 I got their catalogue in the mail a few weeks ago, and I really wanted to try their yarn. They have a great selection of colors, and I was really happy with what I picked out. 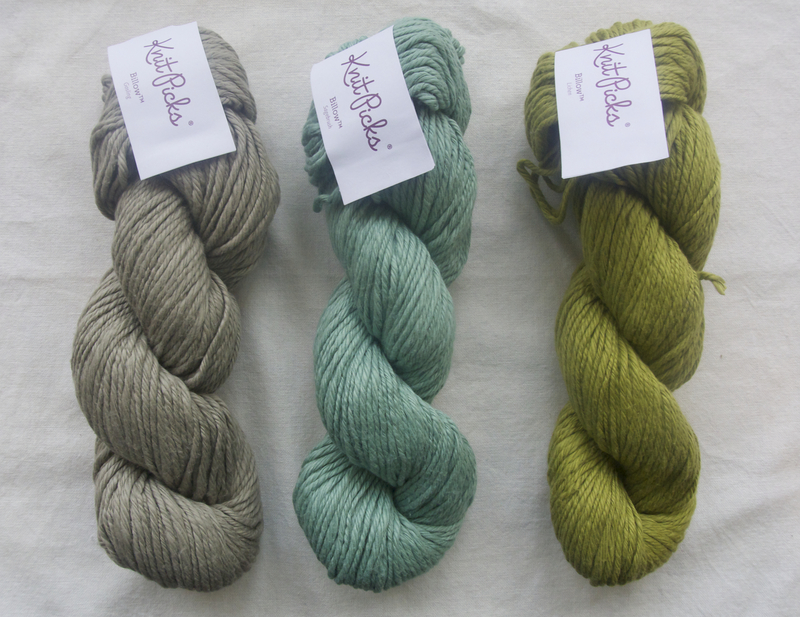 I wanted to try a bulky yarn for a cowl, so I ordered the Billow yarn in Gosling, Sagebrush and Lichen. 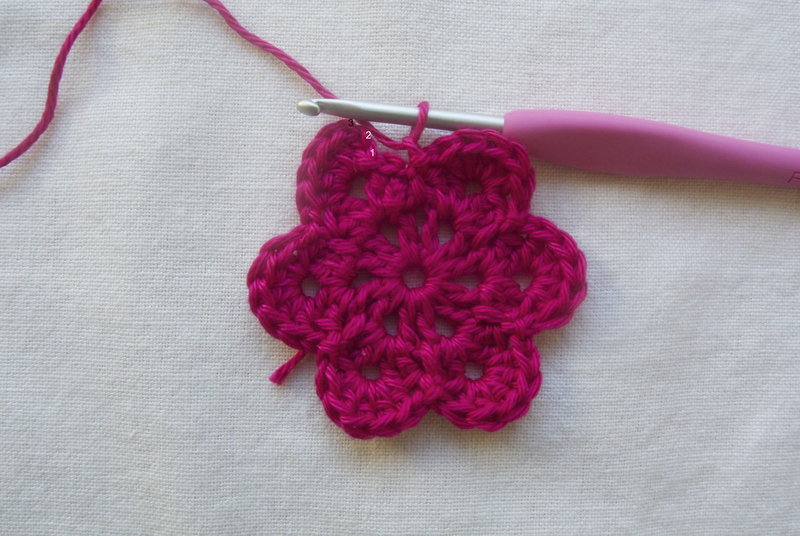 I really love the color and the softness, but I expected it to be thicker. The thickness actually varied throughout. Some places were really thick, while others were super thin. 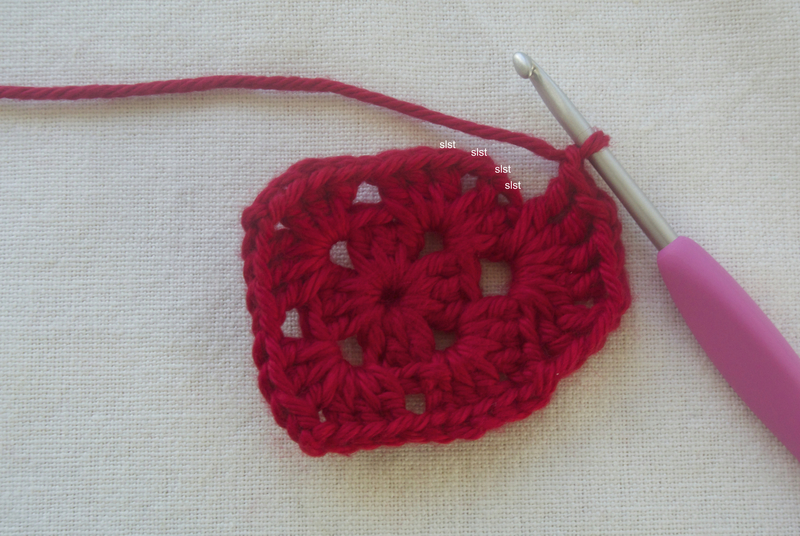 Overall, I really like the yarn, and I plan on ordering more in some of the other beautiful colors! 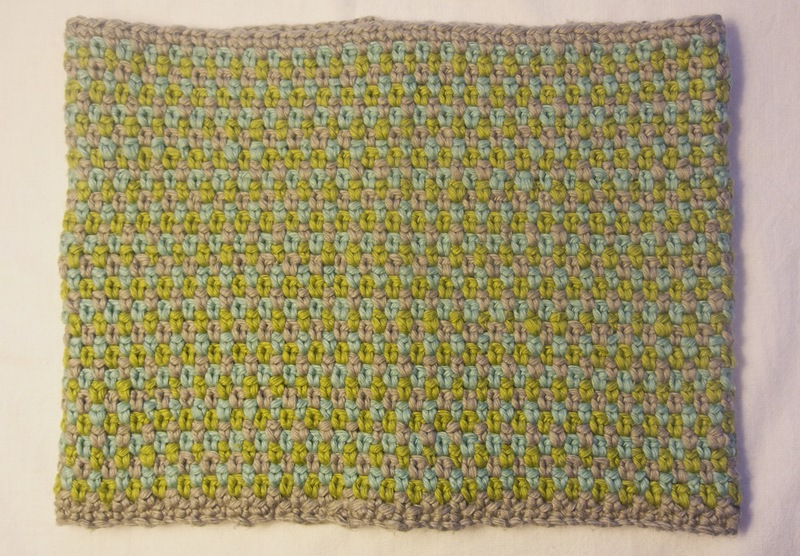 I used it to make a soft cowl, and I think it looks great! I’m happy with the way it turned out, and I think the varying thickness of the yarn gave the cowl a neat texture. 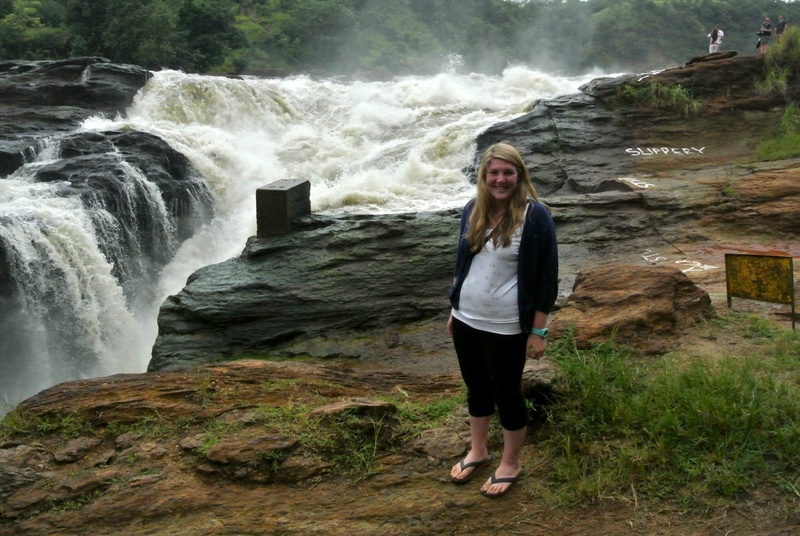 My third week in Uganda was my favorite! 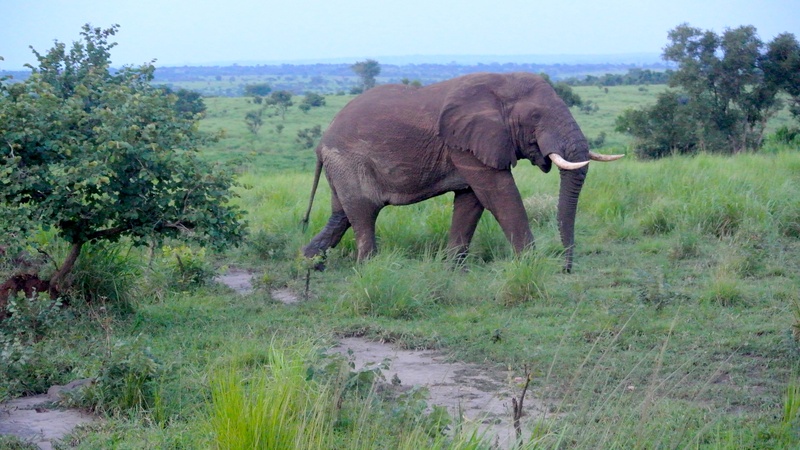 We spent the beginning of the week on safari and then spent a couple days in Rwanda. 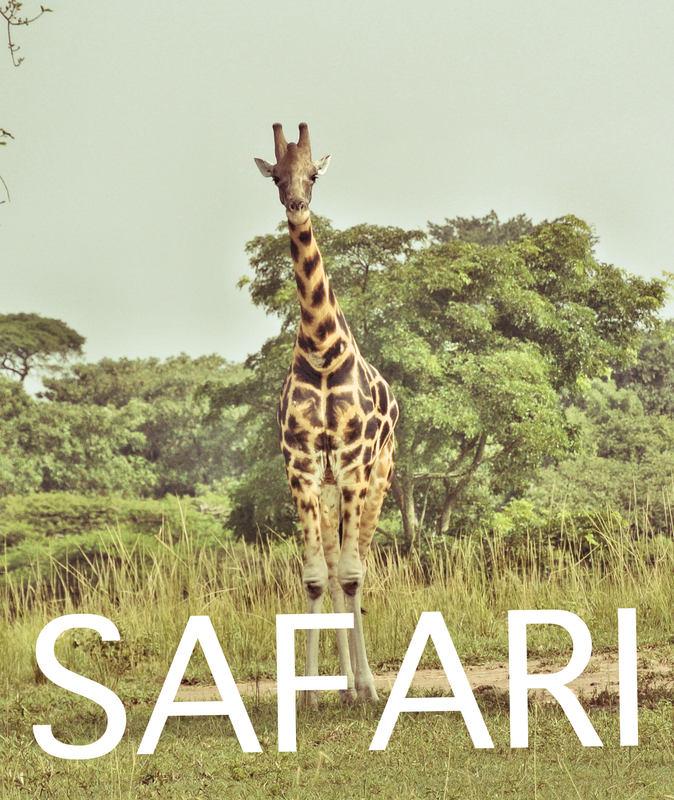 I had the best time on the safari! It was a long couple of days, but I loved it! We left monday morning at 5:30am. 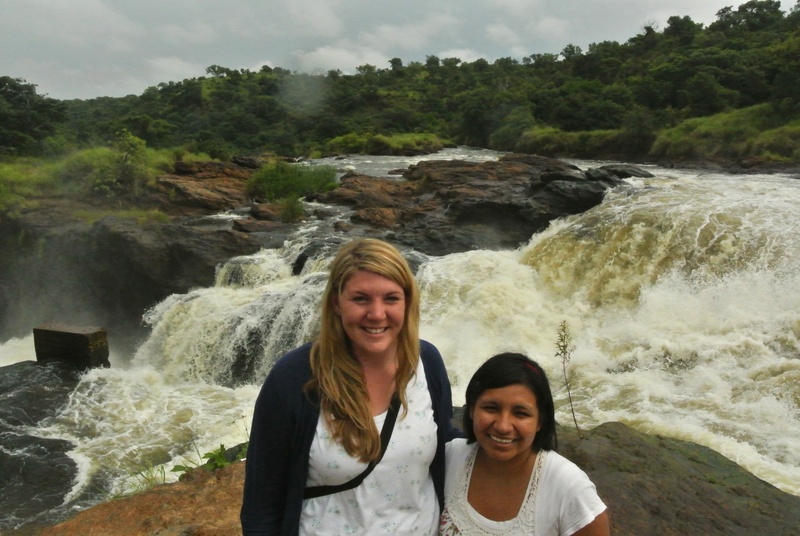 It was about a 5 hr ride to Murchison Falls where we were able to get out for about 15 minutes and look at the Falls before hurrying to catch a ferry to cross the Nile. My friend Jessica and me! Right at the ferry was a really nice resort where we had lunch. 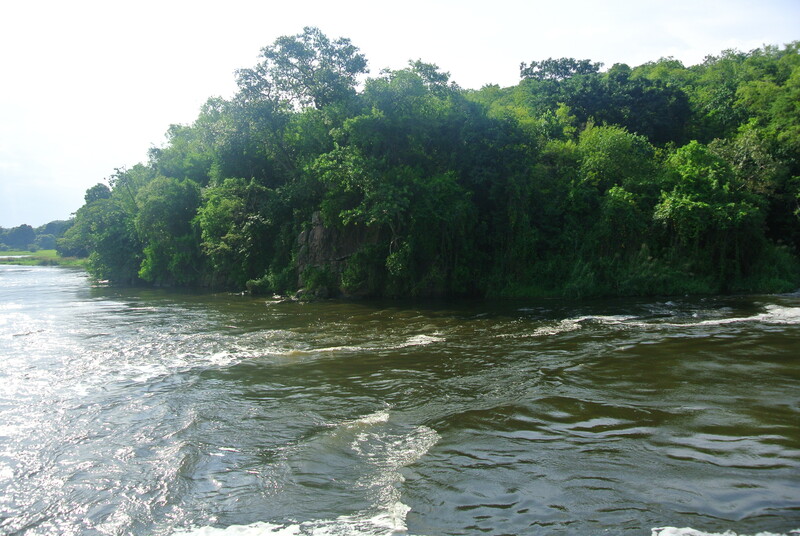 It was right along the Nile and we could see elephants drinking from the river while we ate. We had about 45 minutes after lunch to hang out at the pool at the resort. It was so beautiful! 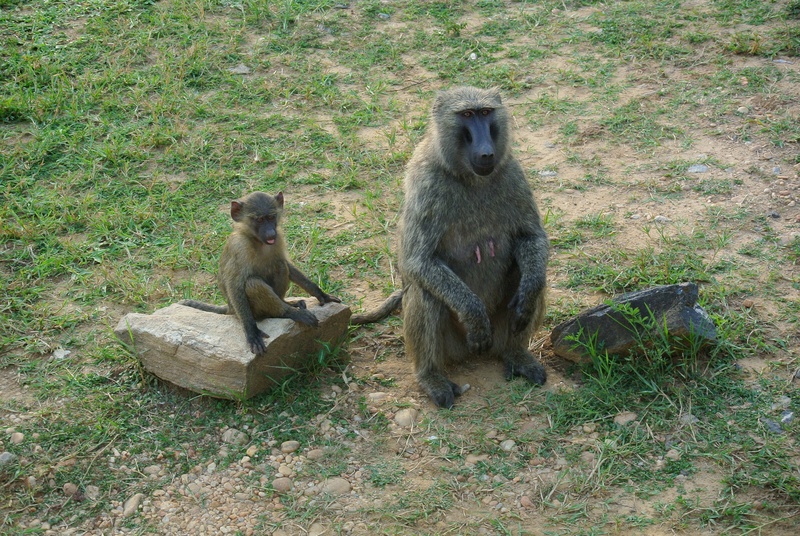 Right outside the entrance we saw and elephant and some baboons! After lunch we went on a boat ride on the Nile. 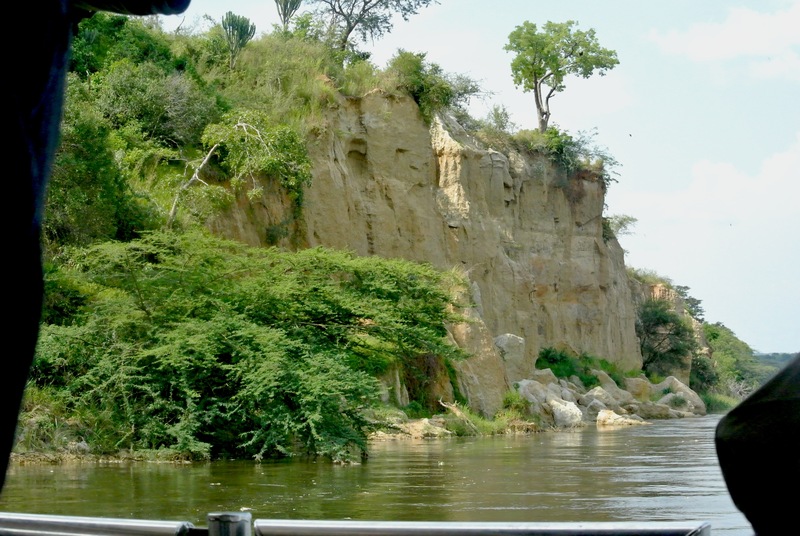 We saw a lot of hippos and warthogs and a few crocodiles. 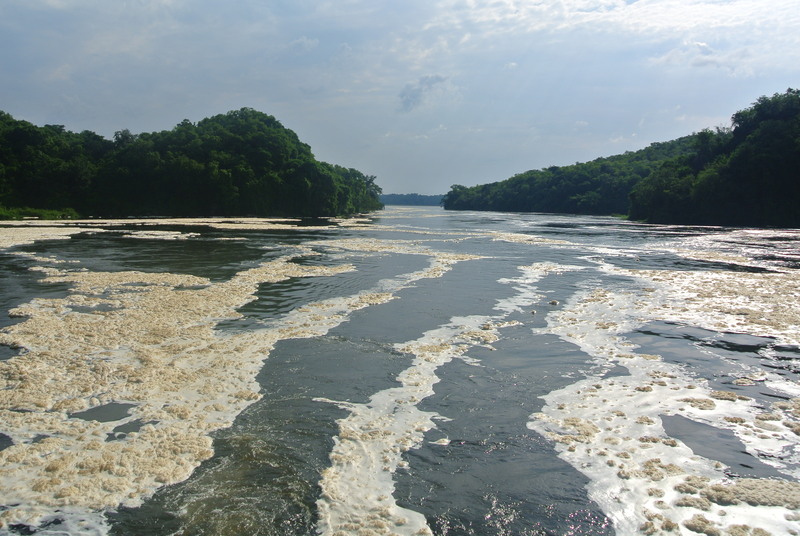 The tour lasted about 3 hours and we went to the bottom of the falls that we visited earlier that day. It was so beautiful! Pictures do not do it justice. After the boat ride we went on a game drive. We rode in big vans with pop up roofs so we could stand and look out the top or climb out and sit on the roof! There were also railings around the top so we could climb out and sit. By the end of the day, I had a layer of orange dust on everything! We didn’t see a whole lot of animals that night. 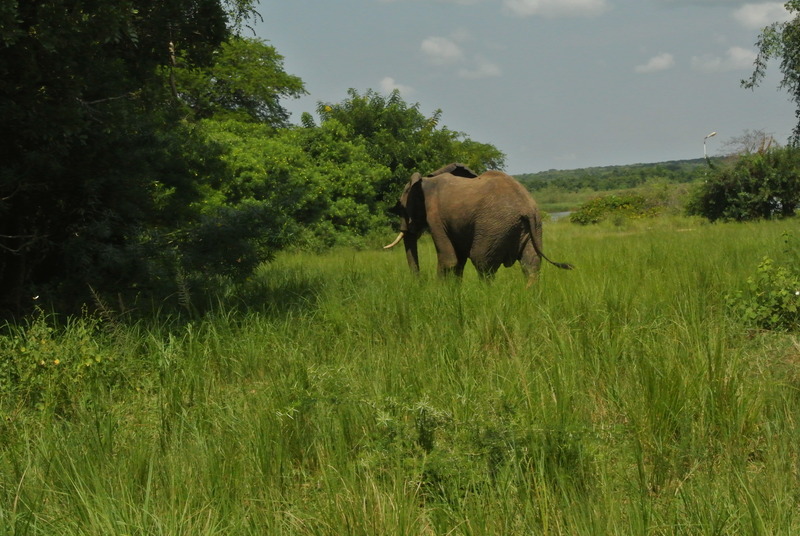 We saw a couple elephants and a lot of antelope and warthogs. We were expecting to see a lot of giraffe, but we didn’t see one until the second day. The resort was a lot further away than we expected. Our driver, Jeffrey, was in a hurry to get to the hotel, especially after the sun went down. Jeffrey was a crazy driver and we hit a python, porcupine and bunnies while we were driving. The resort we were going to was supposed to be a 5 star resort, but the road we were on looked like we were probably the second car to ever use it. It turns out they took the back way to the resort so we could have a longer game drive. All of a sudden we made a turn and the hotel was right in front of us! Our hotel was AWESOME! We had a really great dinner and sat on the balcony to eat. 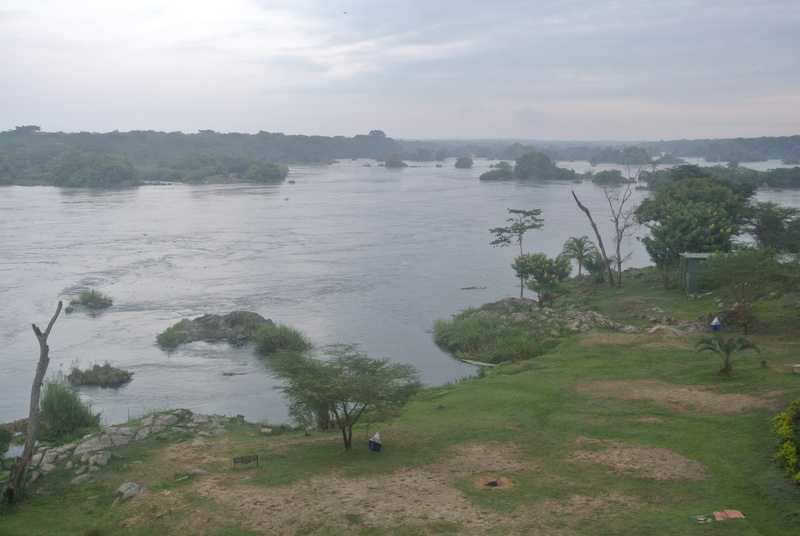 The hotel was right along the Nile and we could see a few huge hippos along the side. 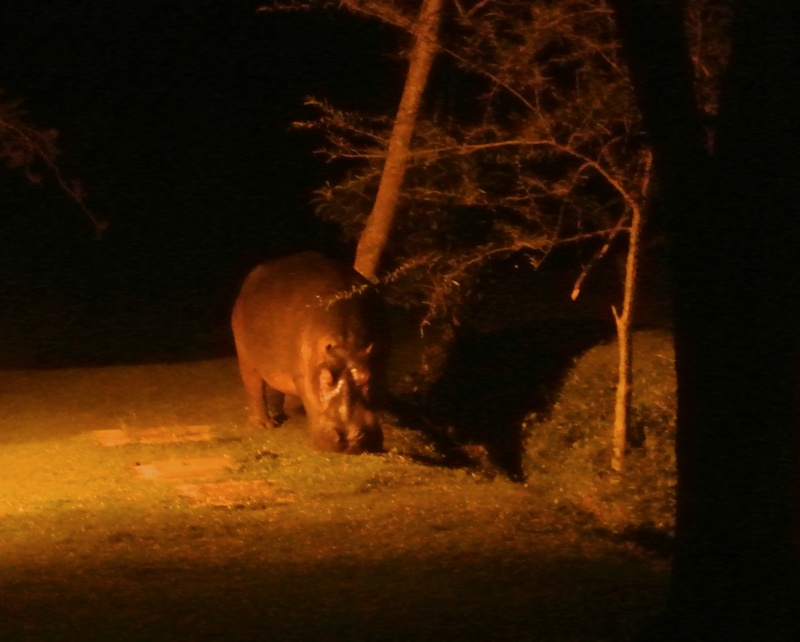 Later that night we were leaving our room and there was a hippo literally right outside our door. It was massive and kind of scary. We were on the second floor so we watched for a little while and waited for him to move a little away to take a picture. The guard said he’s seen them charge people and was chased himself, so we definitely kept our distance. Apparently this resort was Kony’s hideout. He and his men would come and take over the resort to hide out. That made it kind of creepy to me, but it was still beautiful. It shut down for a while, but was recently reopened and renovated by a Japanese businessman. I guess the beds in Asia are super hard, so he put those kind of mattresses in the rooms. It was like sleeping on the hard floor, but I was so tired I feel right asleep and I don’t think I even moved all night. The next morning we left the hotel at about 7:15. 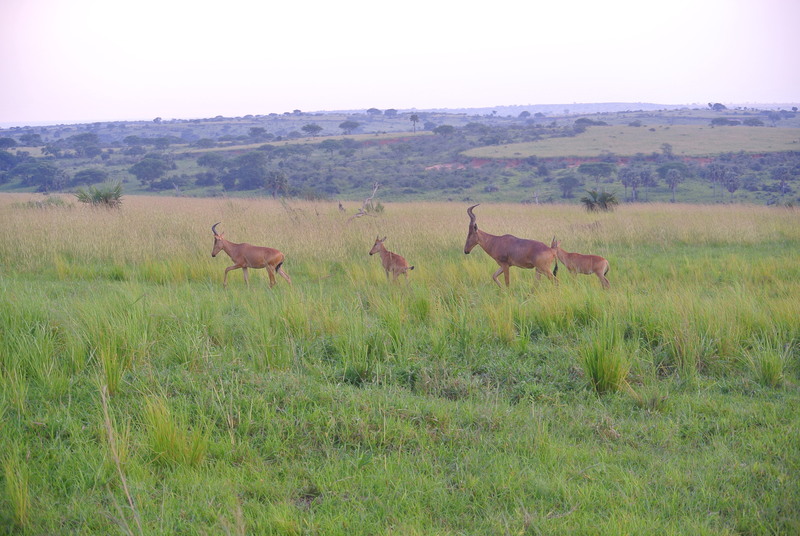 We went on another game drive on the way out of the park which was a bit more successful. I finally saw a giraffe, so I was really happy! It took about 3 more hours to get out of the park and we saw a few more animals. 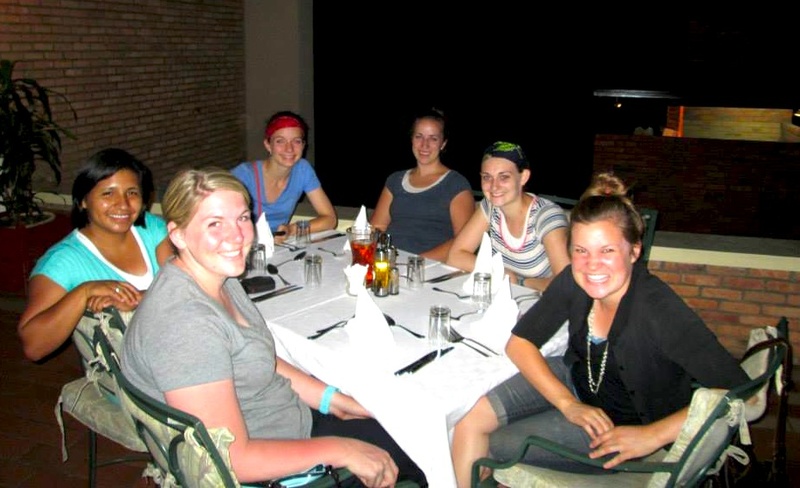 We stopped for lunch at a little restaurant and made it back to Kampala that evening. We were leaving for Rwanda early the next morning, so I spent that night packing and getting some rest. 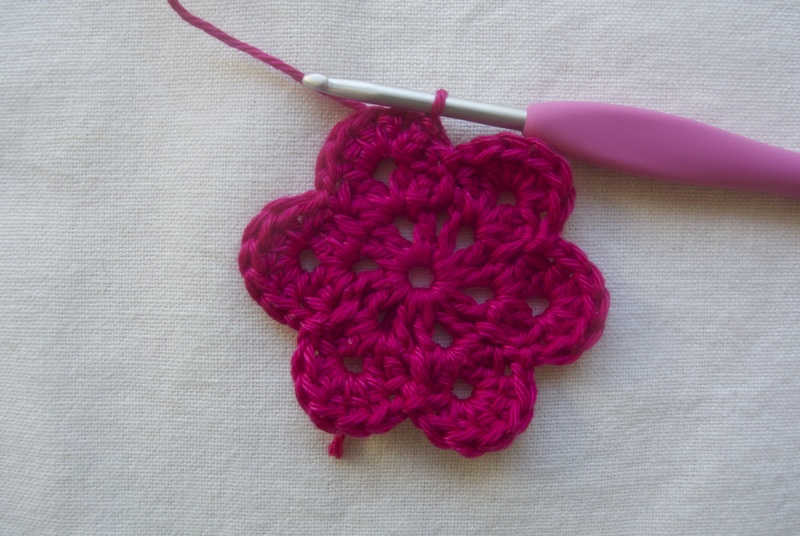 I really love making flowers. 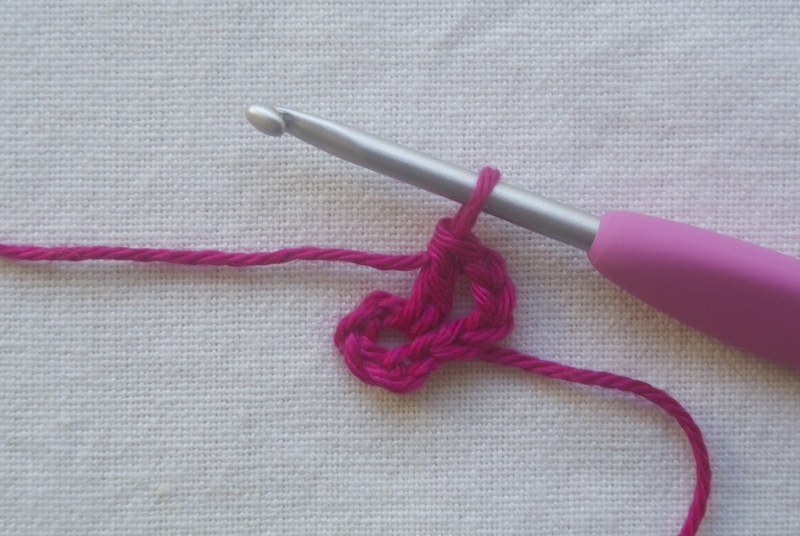 There are so many things you can do with them! 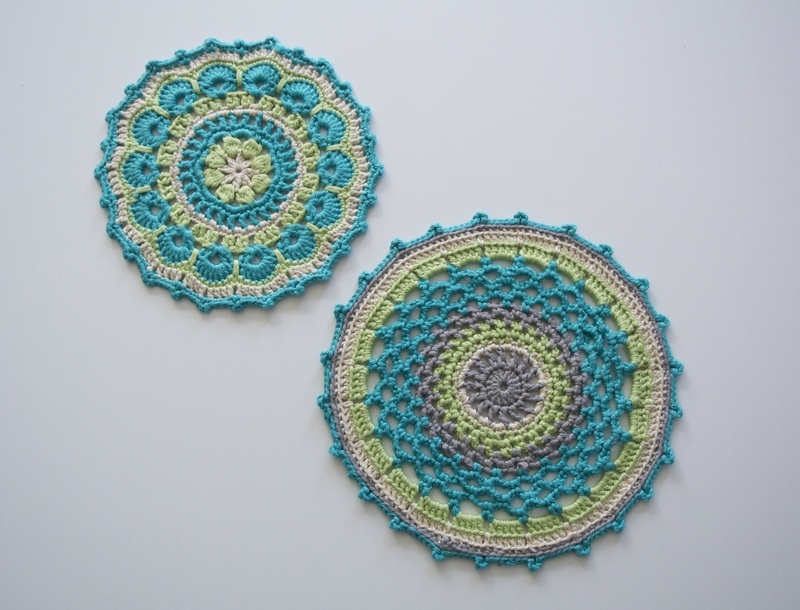 I love using them as coasters, or connecting them into long garlands. We have a ton floating around the house, and my little cousins love collecting them every time they’re over. These little guys are easy to make and are definitely addicting! 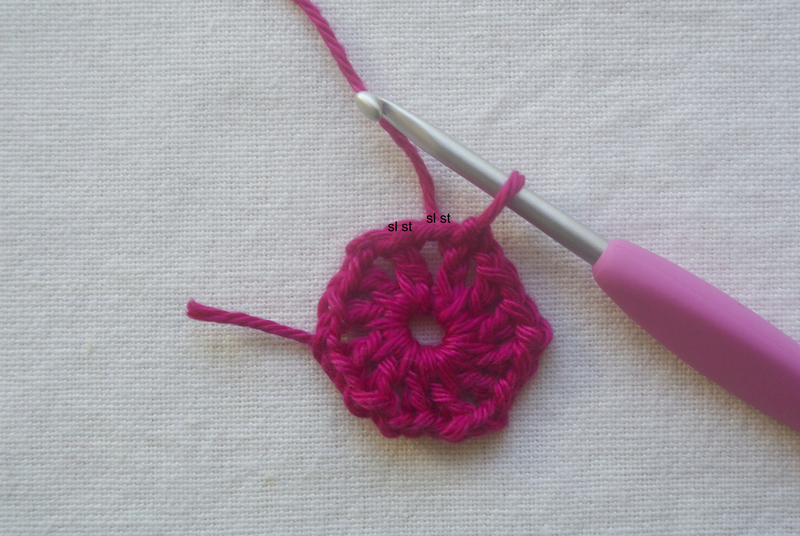 To start, chain 5 then slip stitch in first chain to form a ring. You will work out of this ring for the first round. Round 1: Ch4 (counts as first dc and ch1), then dc in ring. To finish round, sl st in the 3rd ch of the first ch4. 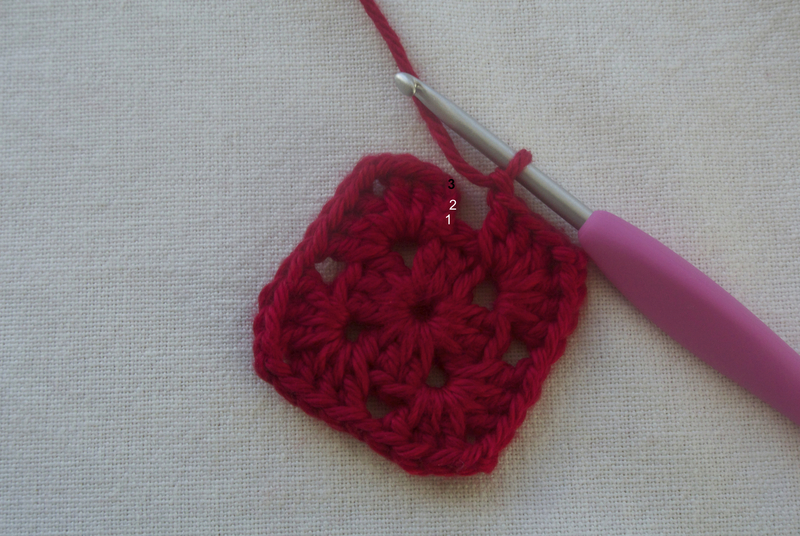 *(2 dc, ch2, 2dc) in ch2 space, sl stitch ch 1 space of previous round* You can start to see the petals forming in this round! 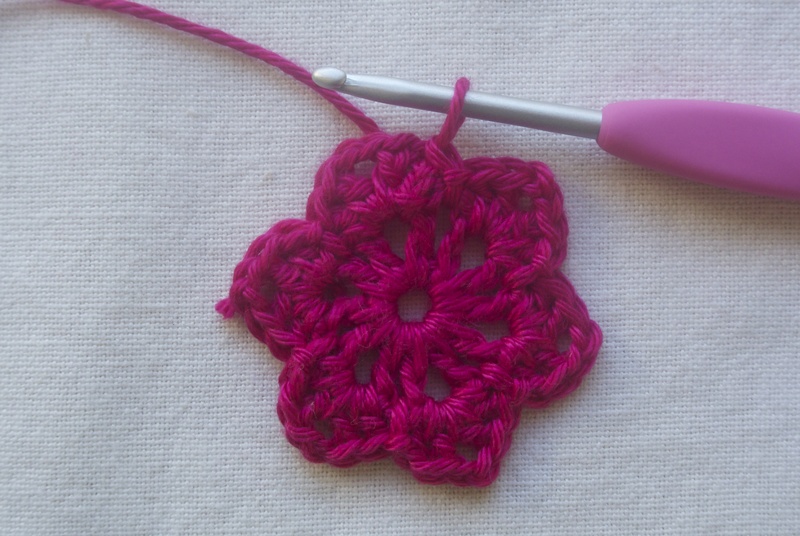 You can end here for a smaller, pointier flower, or continue with round 3 for a bigger one! And you’re done! They’re really simple and really cute! 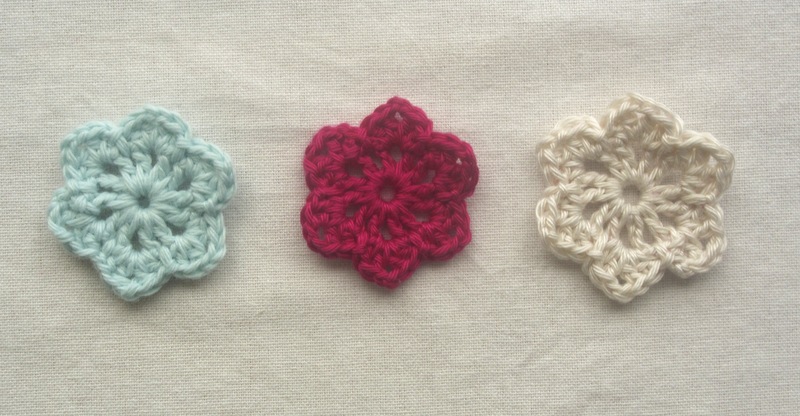 If you end after round 2, you’ll have smaller flowers like these below! 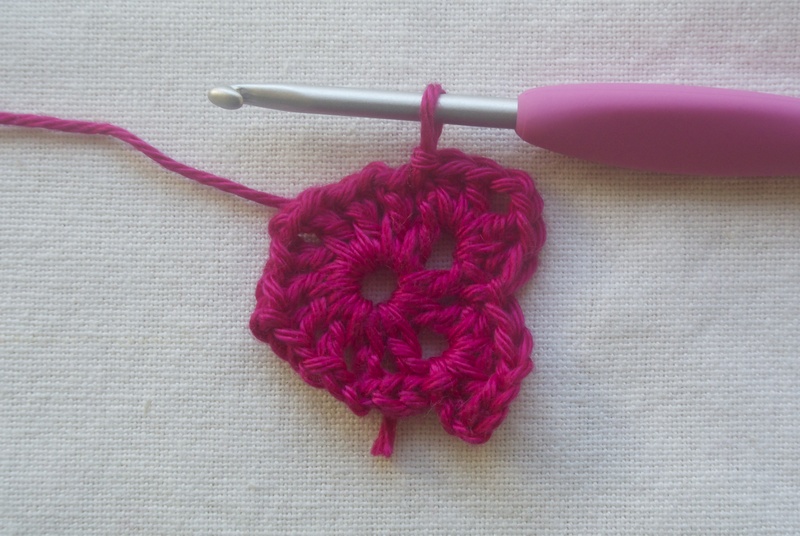 You can also easily adjust the size of your flower just by changing hook size. 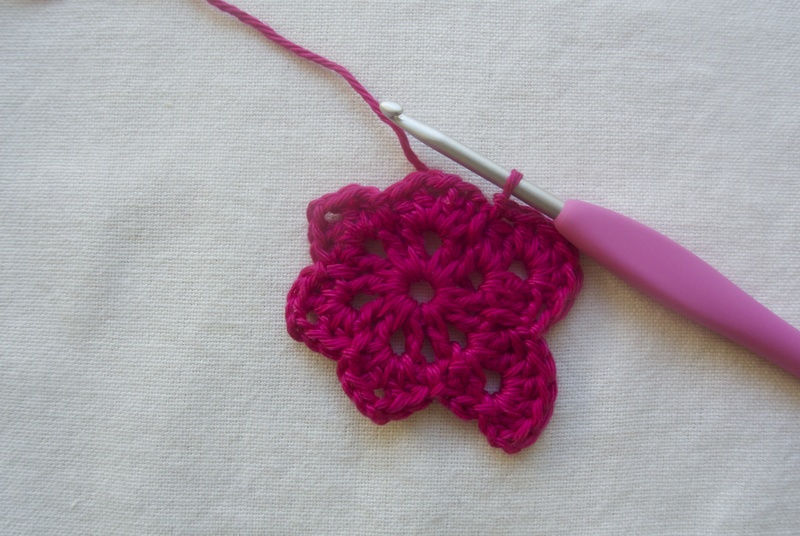 Each of the flowers below were made with the same yarn and pattern, but with different hooks. 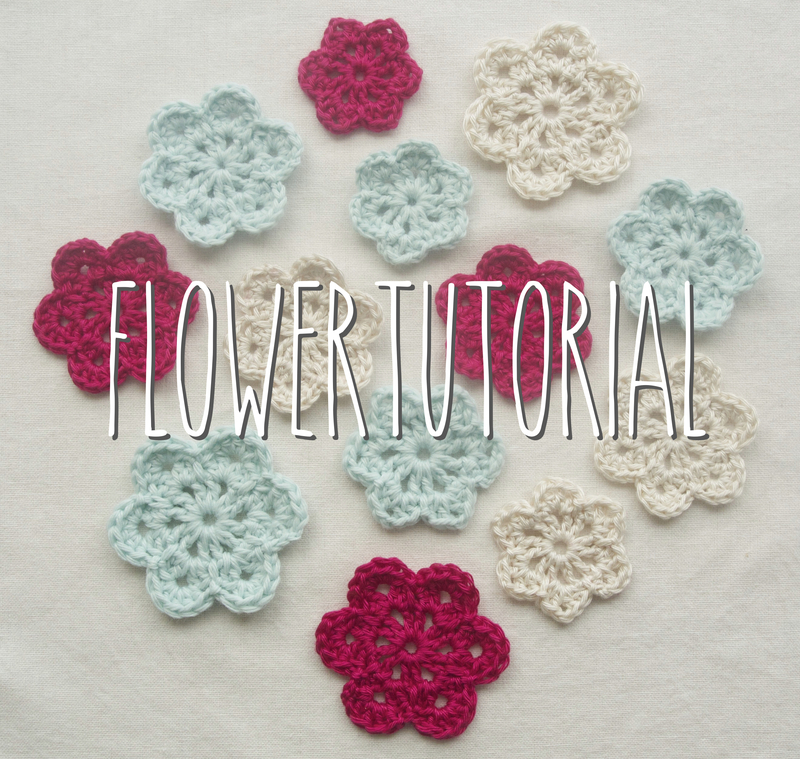 This is my first attempt at a tutorial and it was really fun to make! I hope everything is clear enough, but if you have any questions, please let me know! 1. I really love Diet Coke. It’s a little bit of a problem. 2. These guys are my all time favorite! I saw them twice this year and plan to go again as soon as I can! 3. 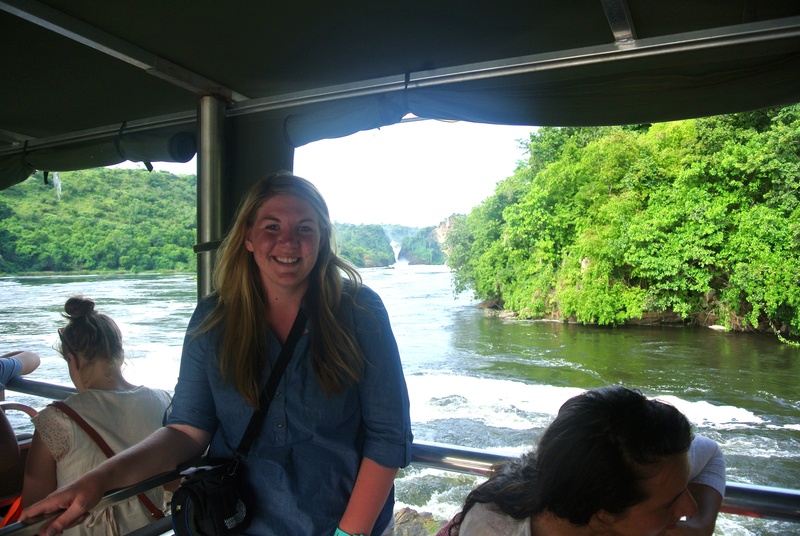 I lived in Uganda for 2 months this summer! 4. Giraffes are my favorite animal. 5. 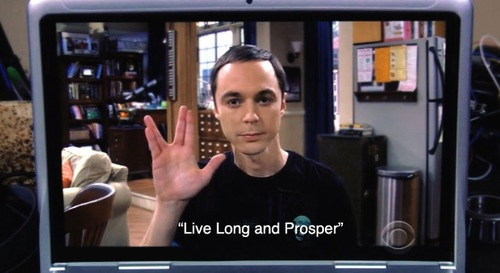 My favorite shows are the Big Bang Theory, New Girl and White Collar. 6. I have two awesome little sisters, Hannah and Chloe. 7. I LOVE old southern plantation homes! One of my life goals is to go on a tour of the great homes in the south. 8. I’m an eighth generation Floridian. 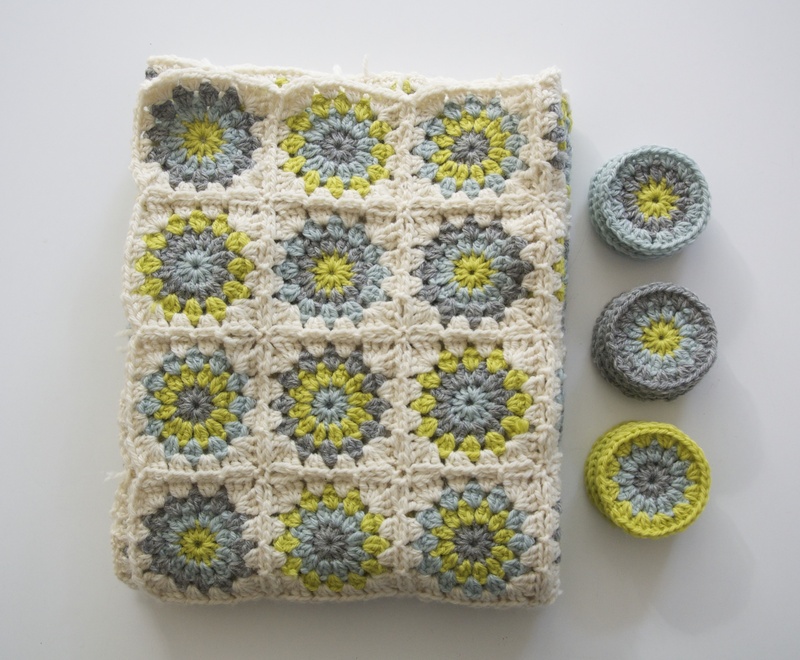 Is it possible to have too many crochet blankets? I sure don’t think so. 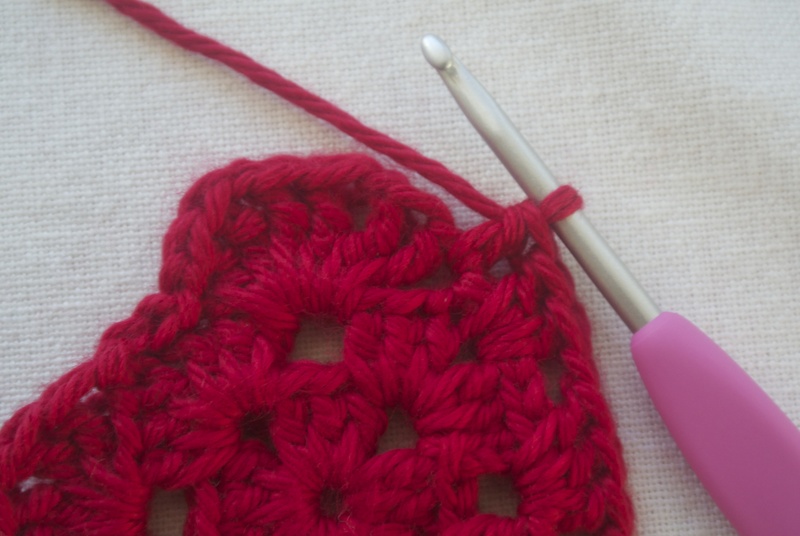 I love making blankets more than just about anything. 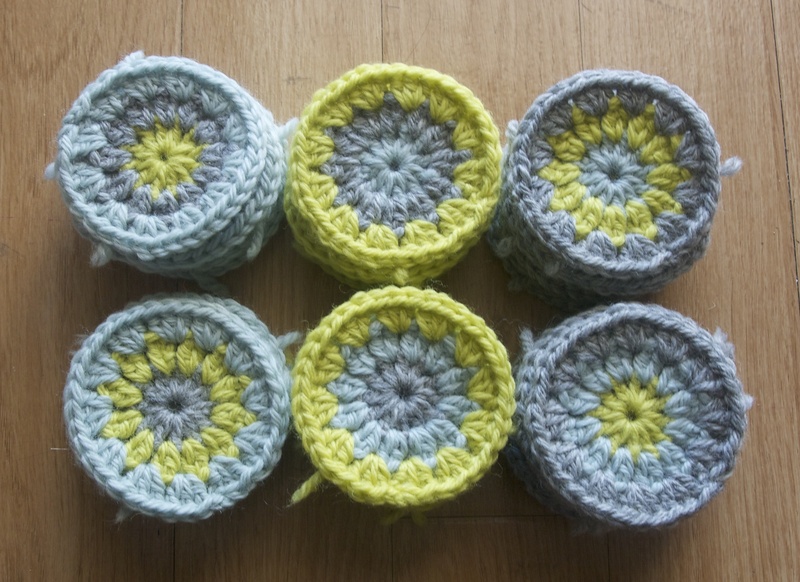 I feel like I always have one in the works and this circle granny blanket will be my sixth! I started with this pattern, but ended up tweaking it a bit. I took out the ch1 in rounds 1, 2, and 3. 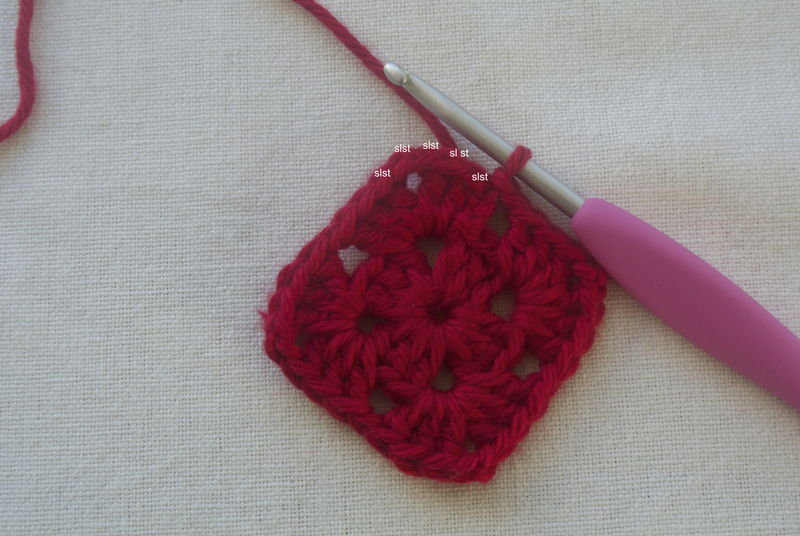 I also made adjustments to round 4 by crocheting 3dc in each space instead of 4, and then *3tr, ch2, 3tr* in the corners, just like a normal granny square. 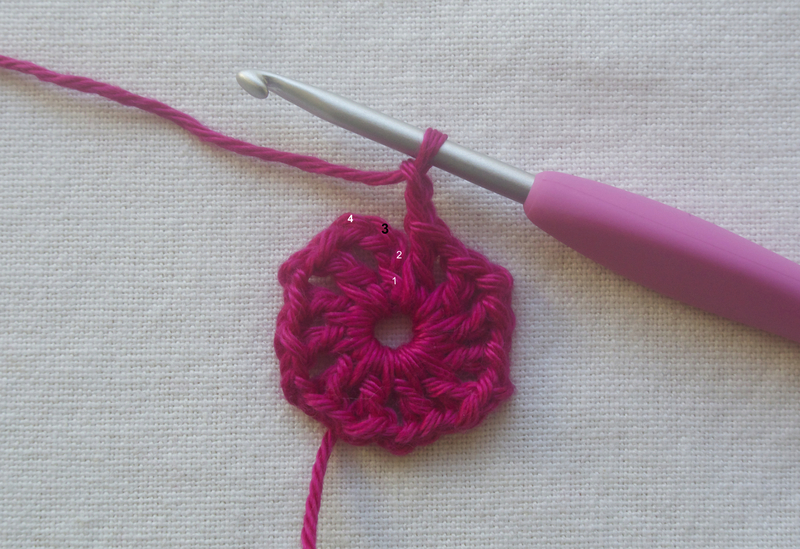 I have a lot of little circles that are waiting to be joined! 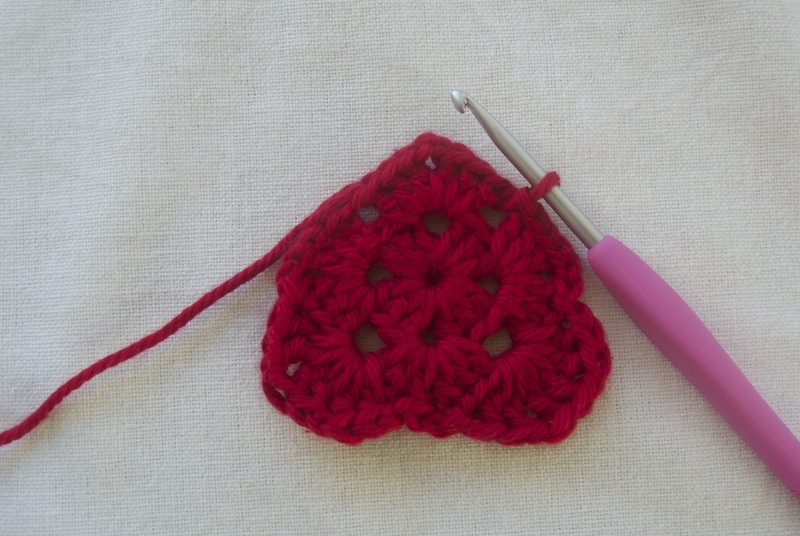 I’m using the join-as-you-go method, which is explained really well over at Attic24. I really love these colors and I’m planning on using it in my room. Hopefully I will be able to finish it up in the next month or two! 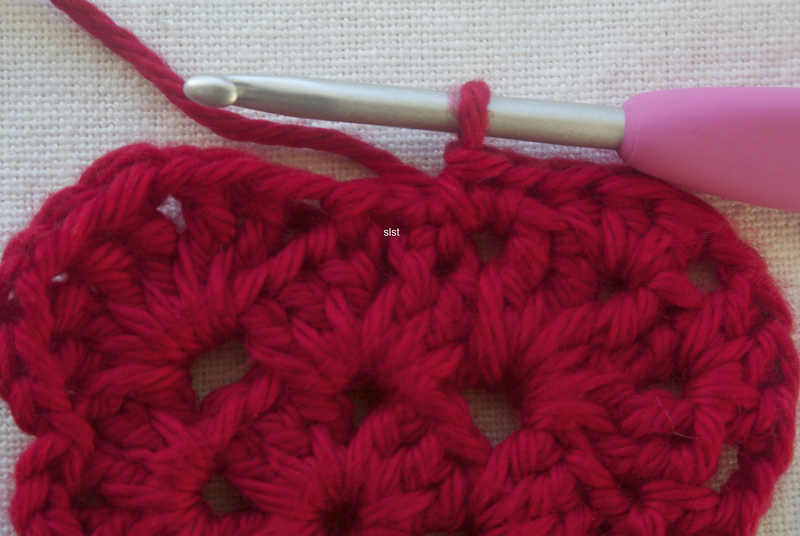 Still chipping away at this blanket. Really loving how it’s turning out! I have been pretty MIA here for a while. 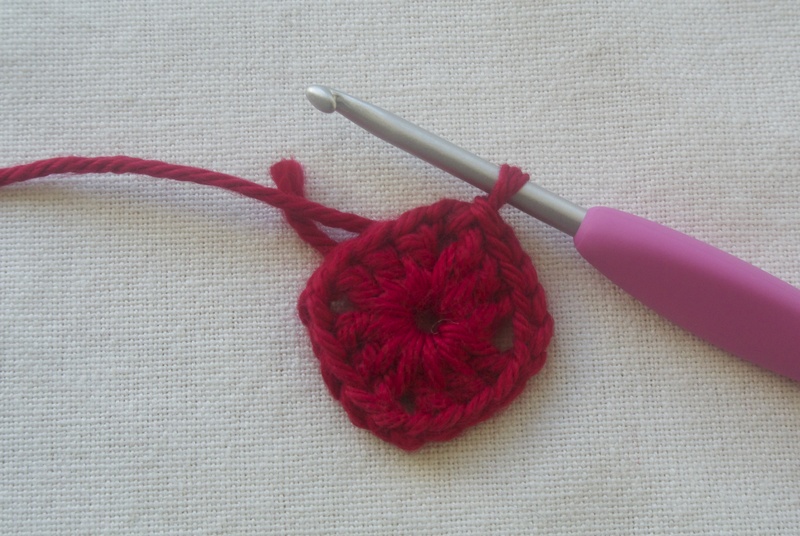 I haven’t even picked up a crochet hook since Christmas! I just needed a break. 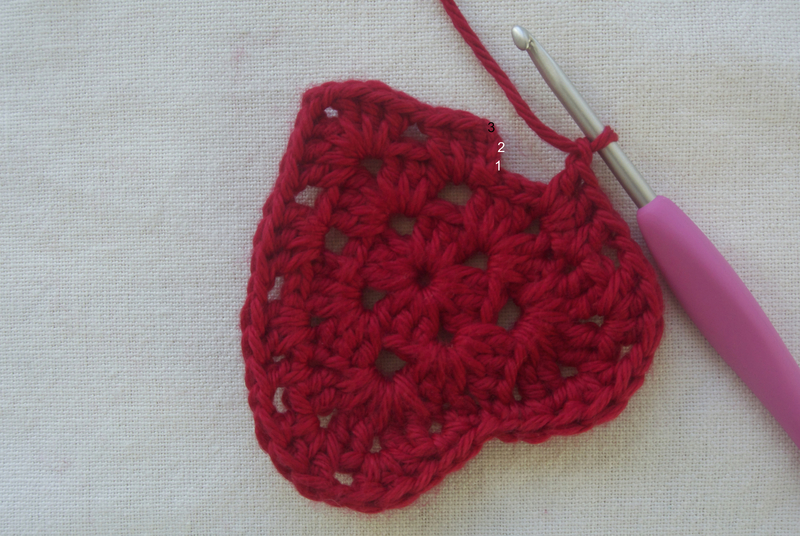 I’m not yet reopening my Etsy shop, but I am happy to be back at it. 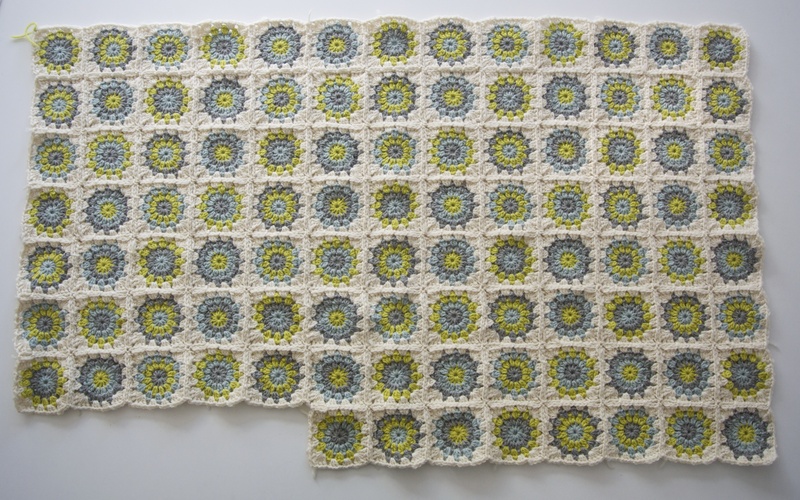 Hoping to get some works in progress finished up, starting with this blanket. Getting ready for the holidays! These pumpkins and snowflakes are on their way to @coconut_barrel right now! If you’re in St. Augustine, go check it out! Enter your email to follow Lizzie Bella and receive notifications of new posts by email!